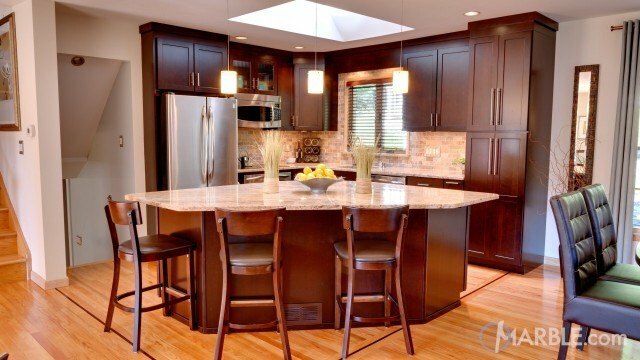 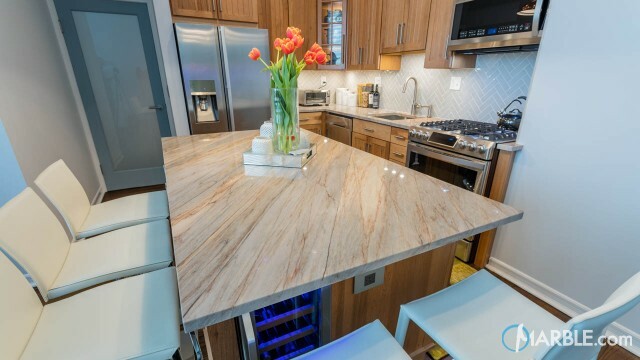 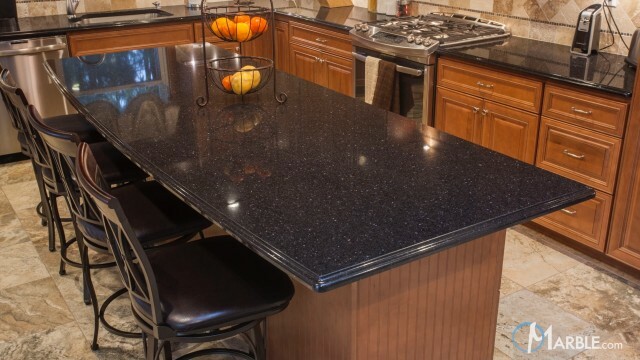 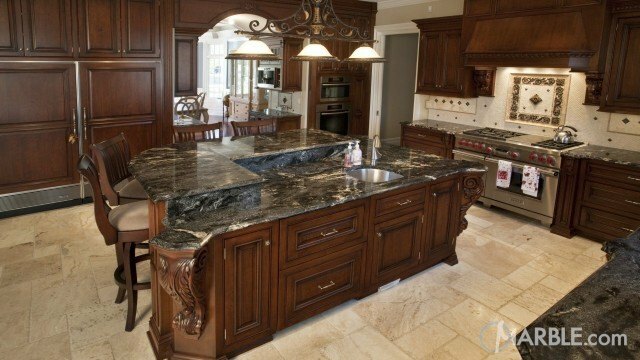 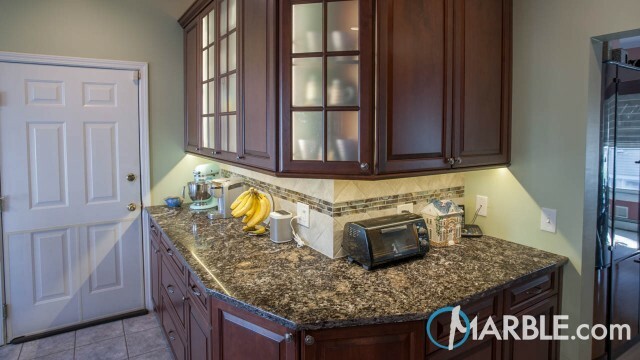 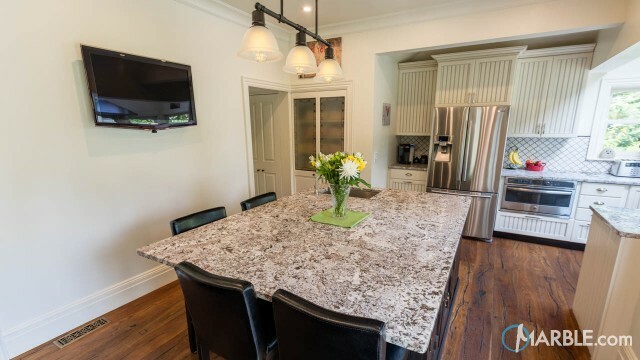 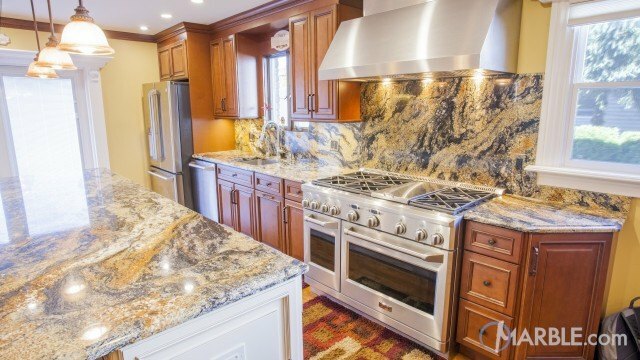 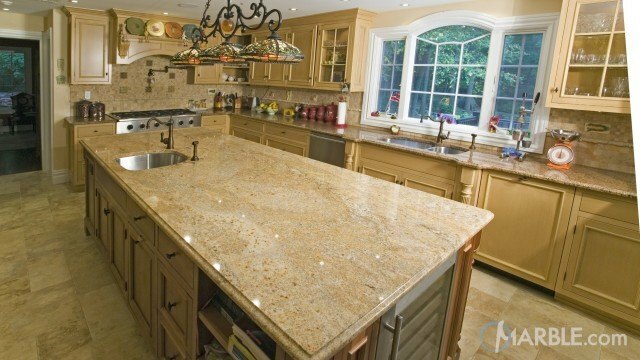 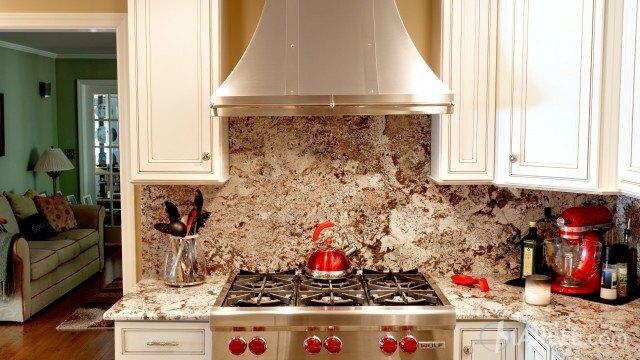 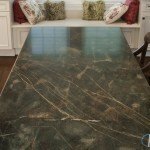 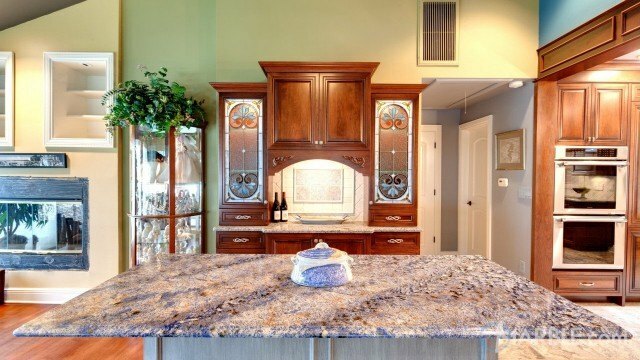 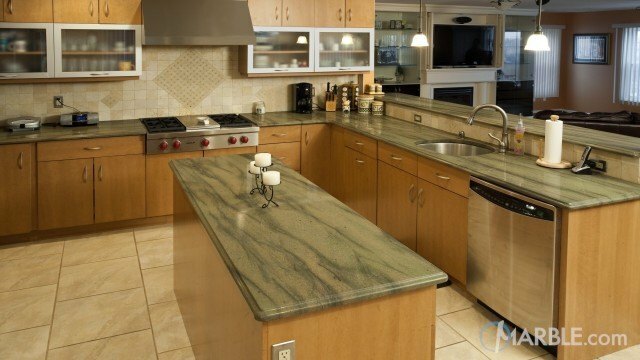 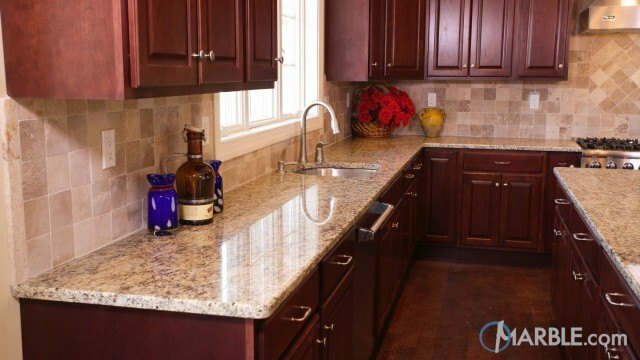 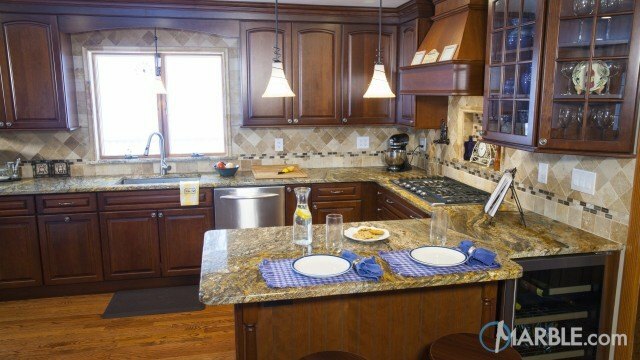 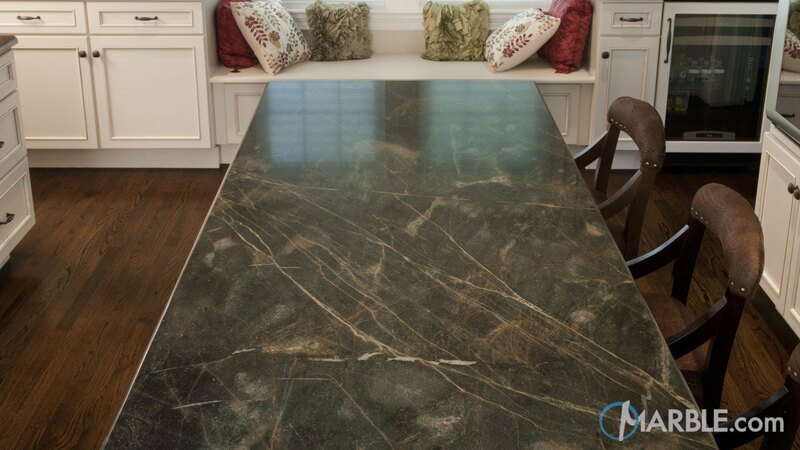 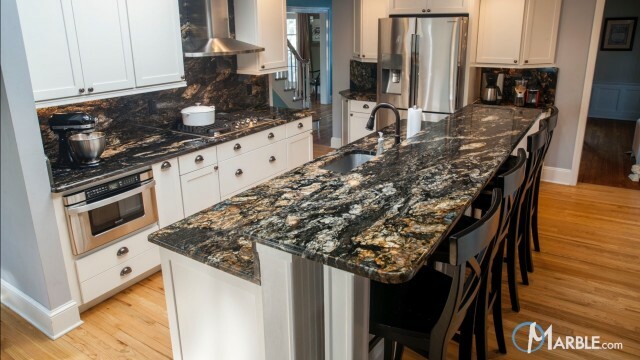 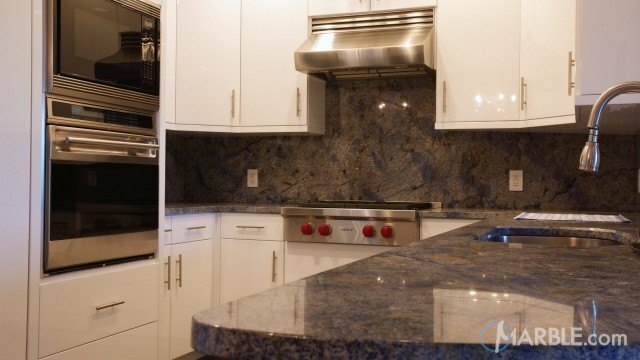 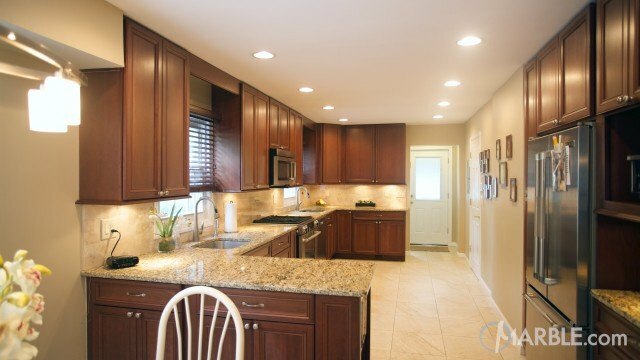 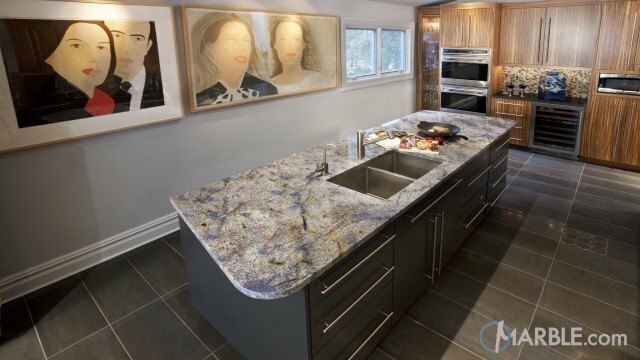 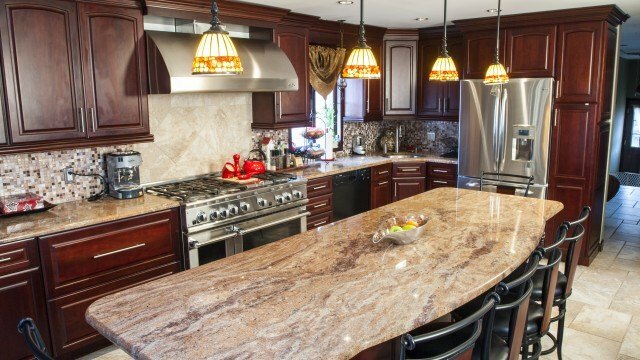 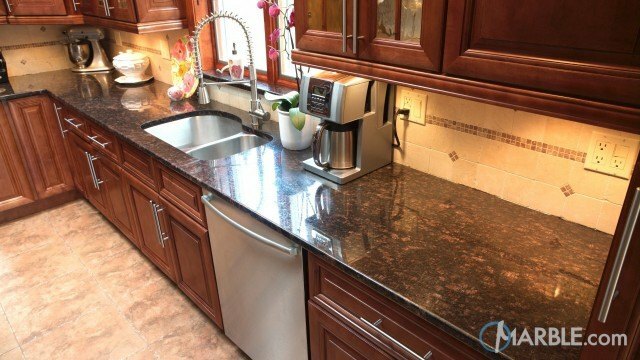 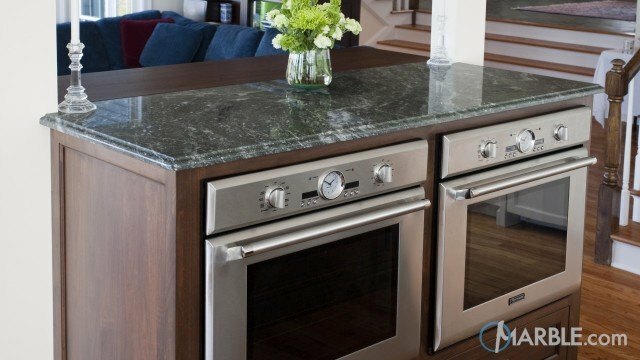 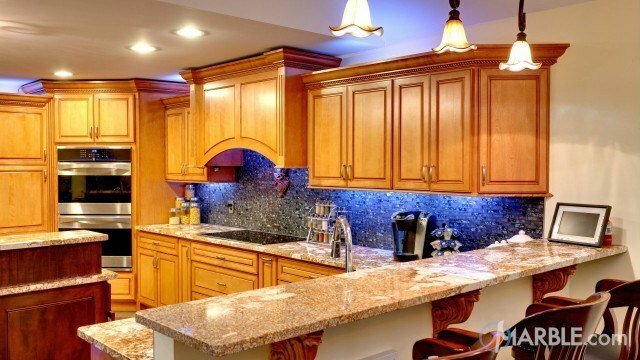 Don't be confused by the look of this smooth stone, Eucalyptus may look like marble, but it is definitely granite. 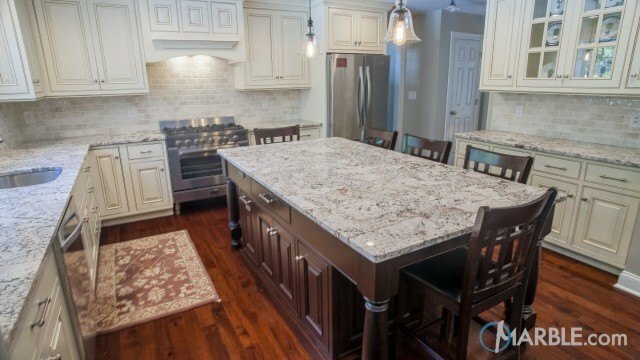 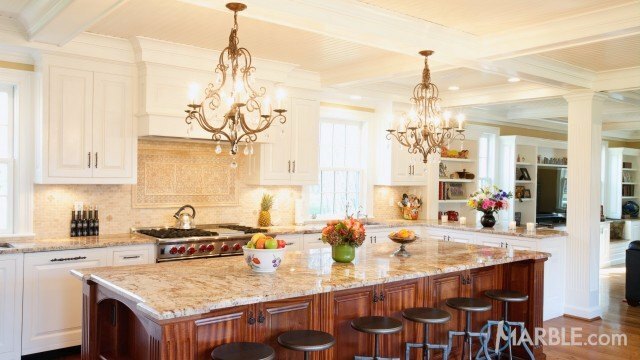 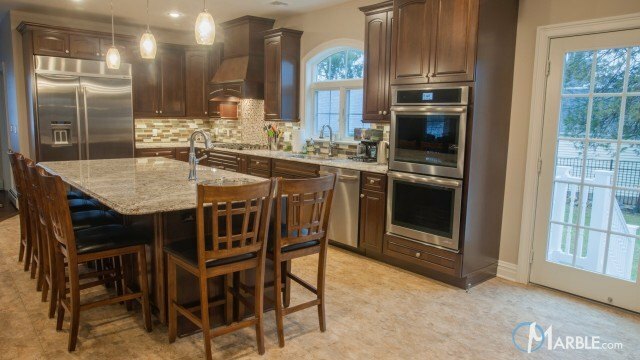 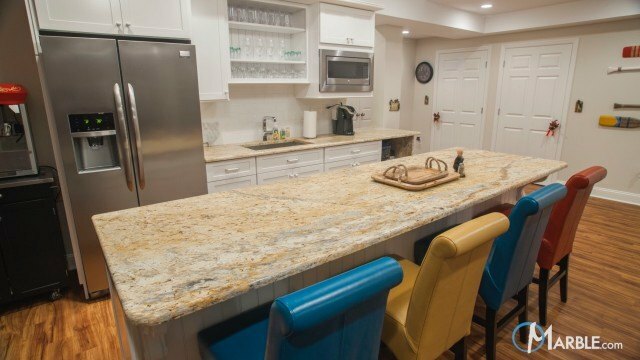 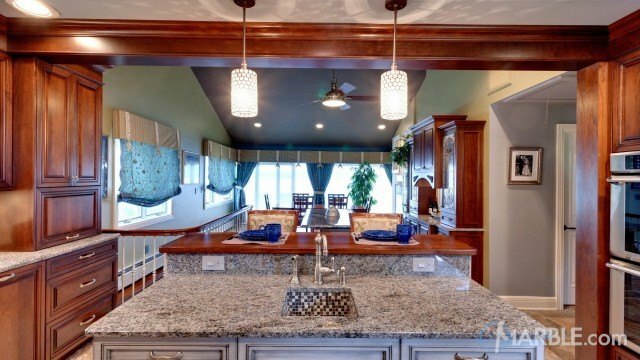 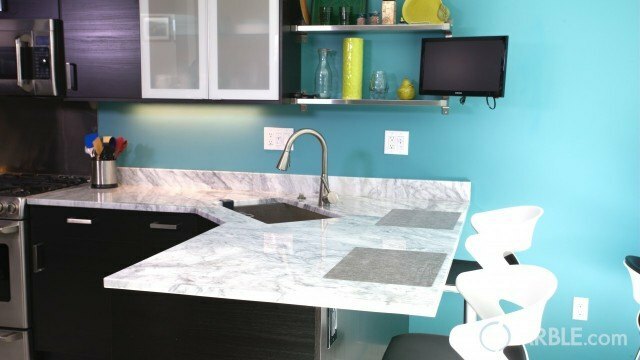 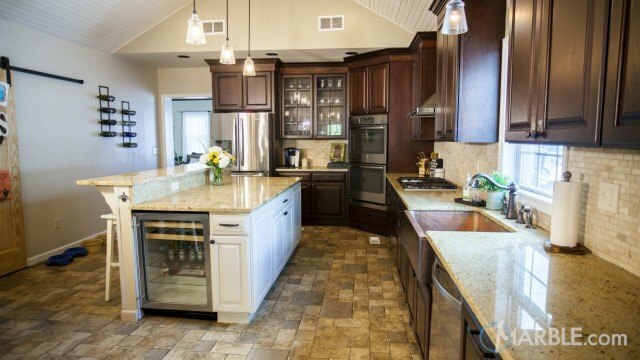 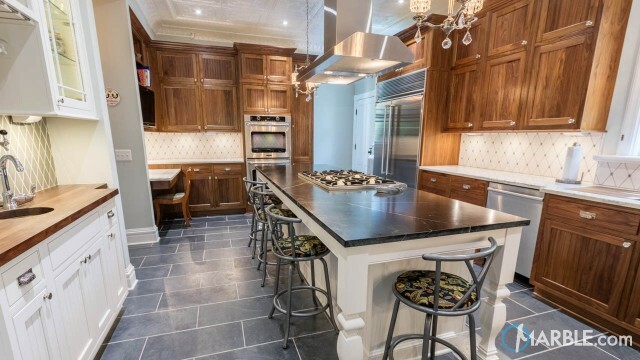 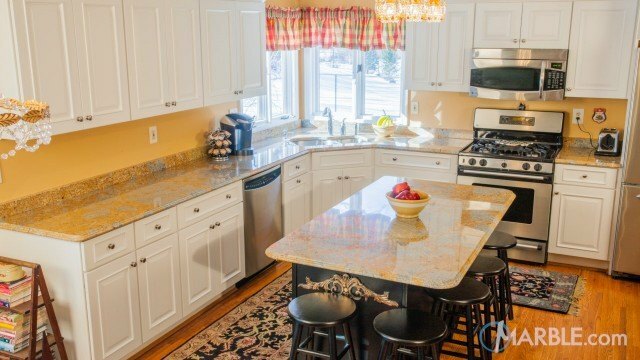 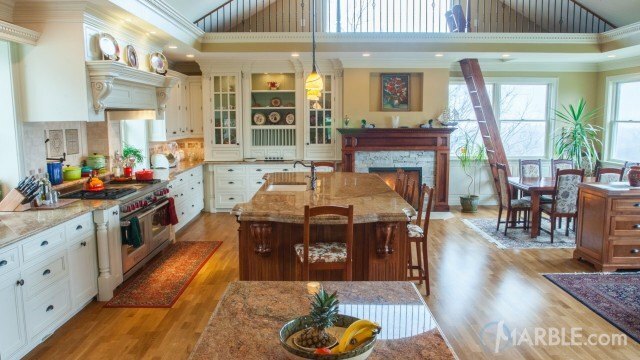 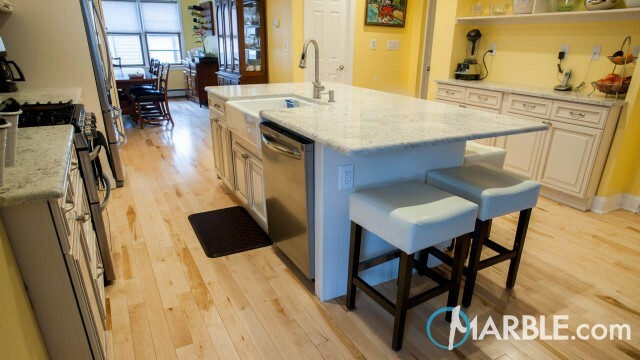 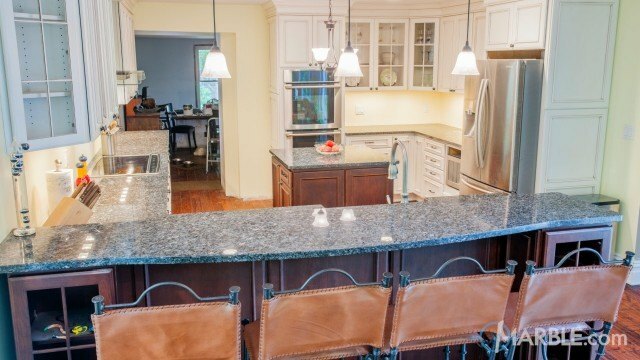 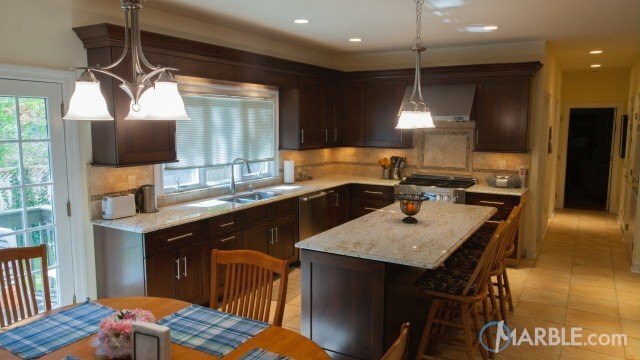 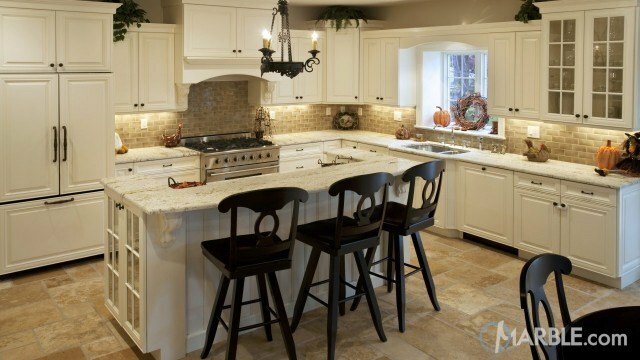 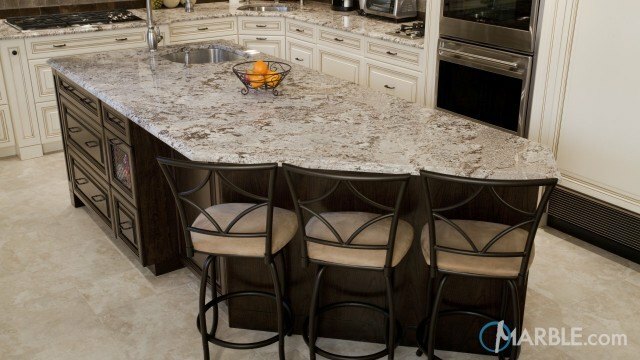 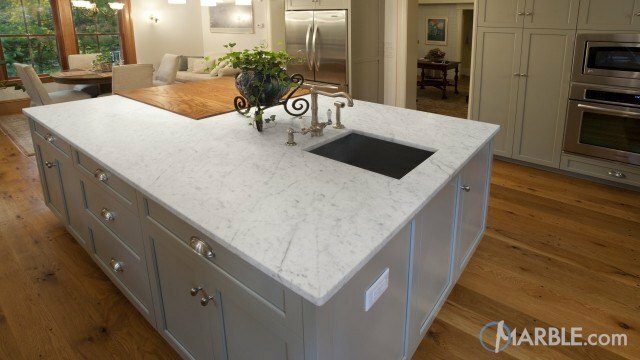 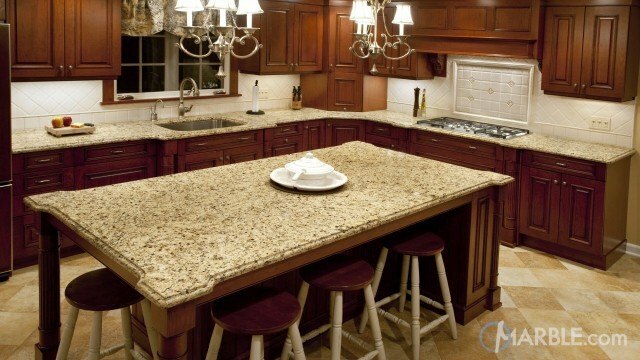 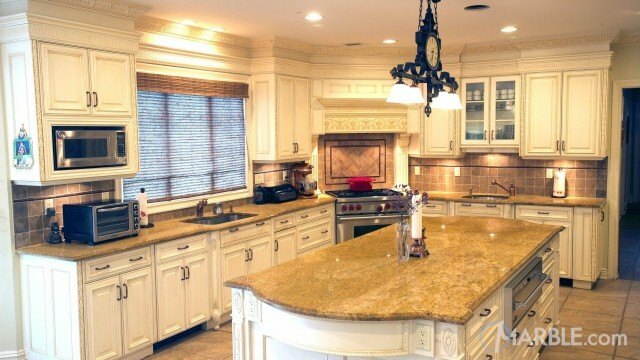 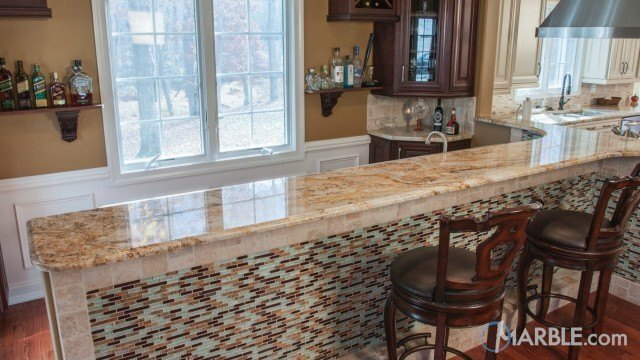 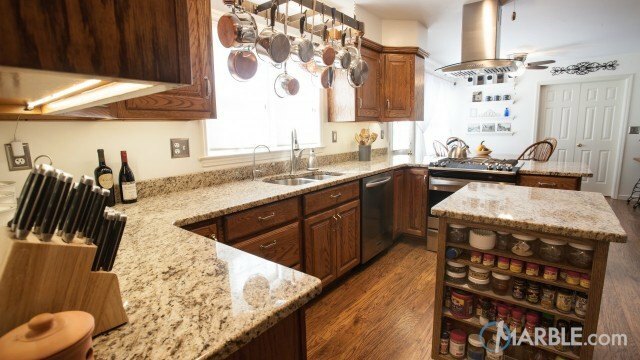 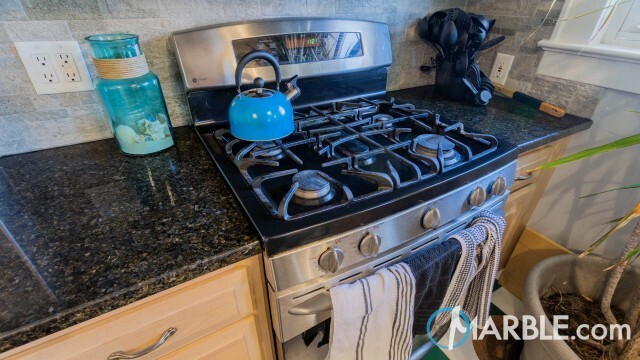 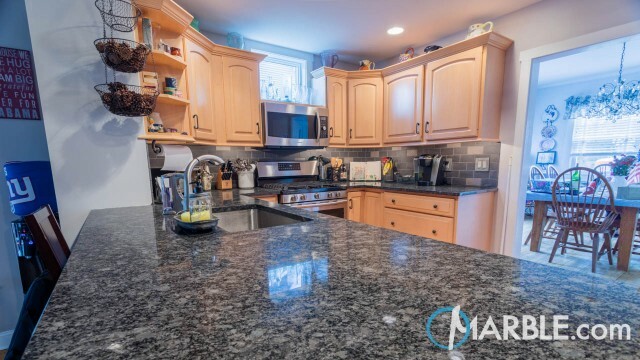 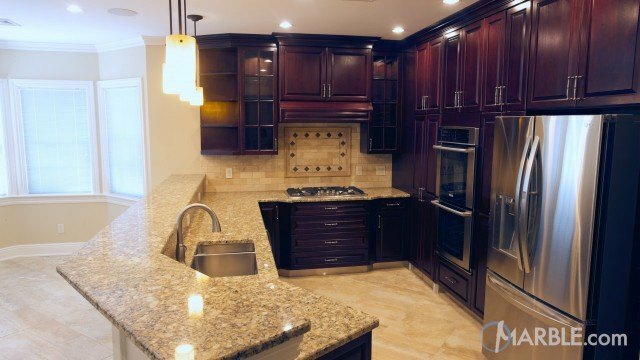 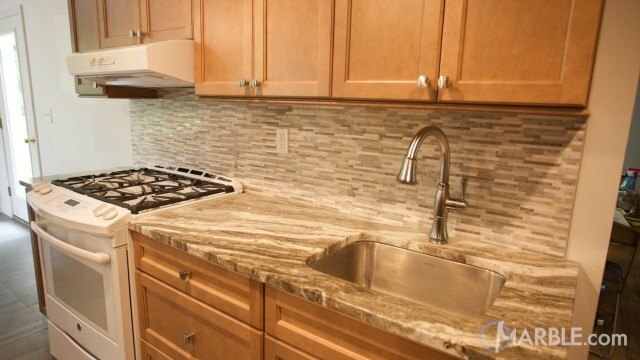 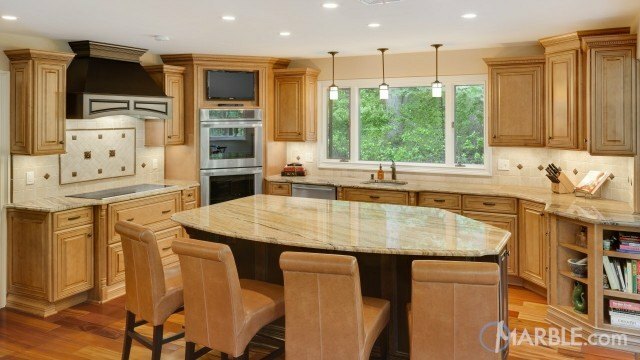 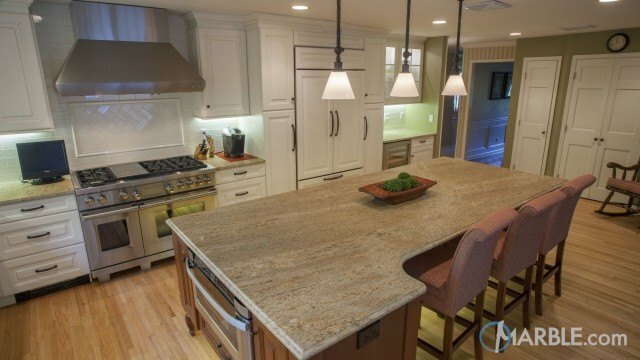 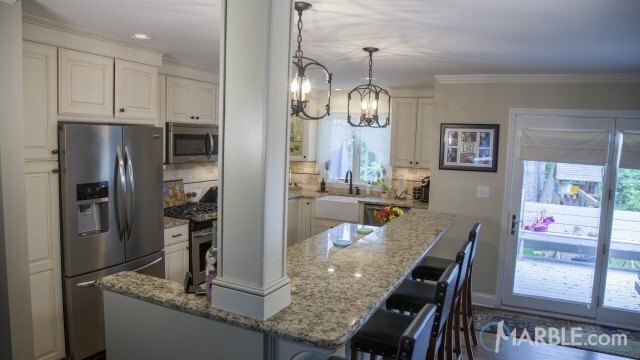 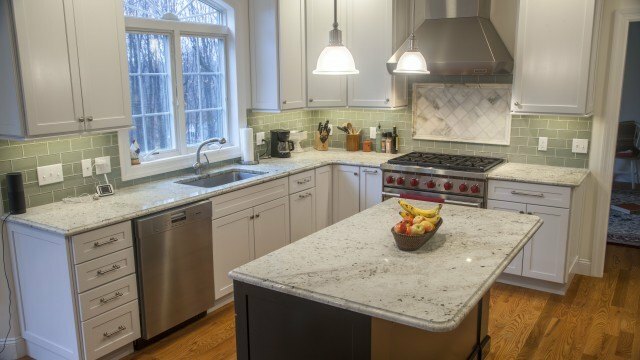 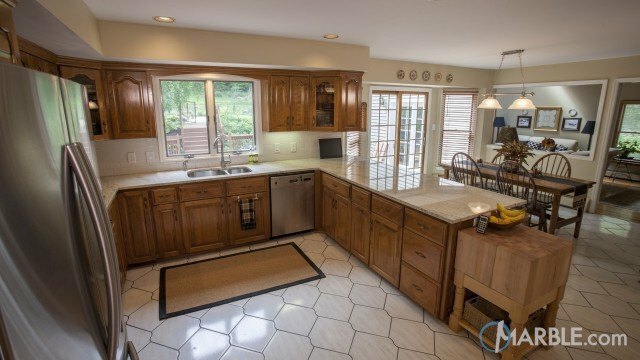 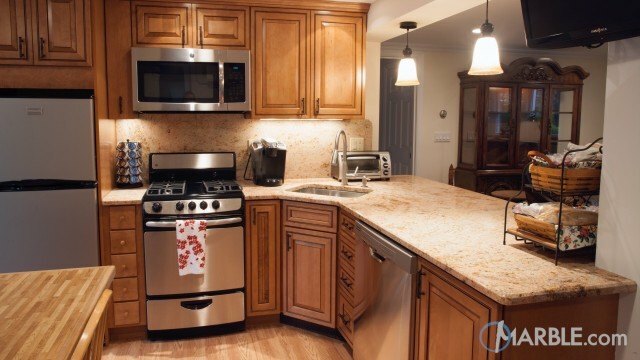 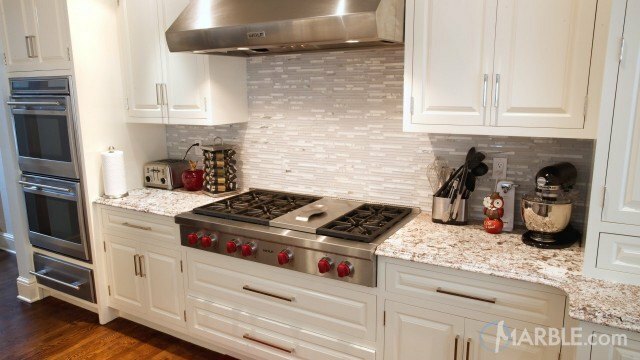 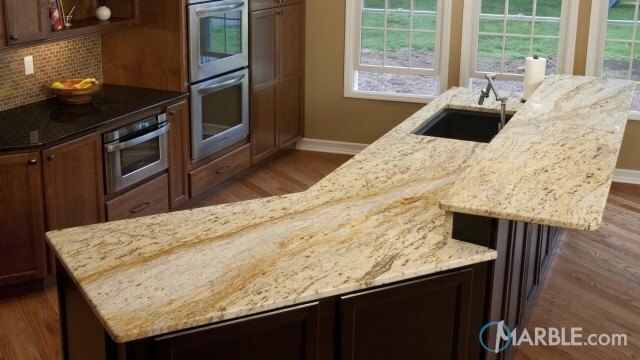 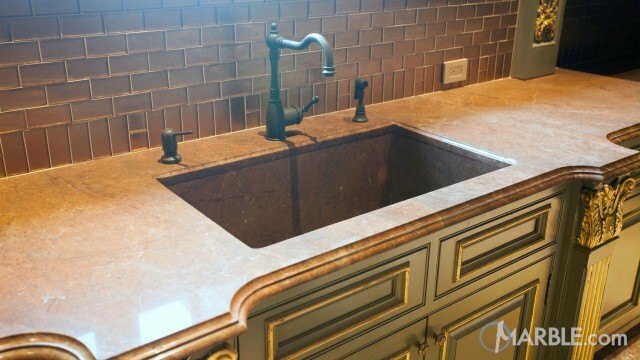 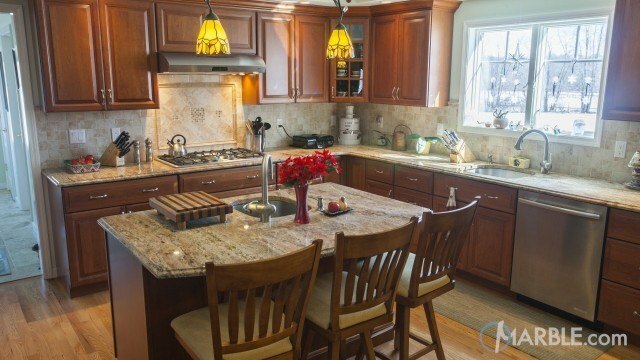 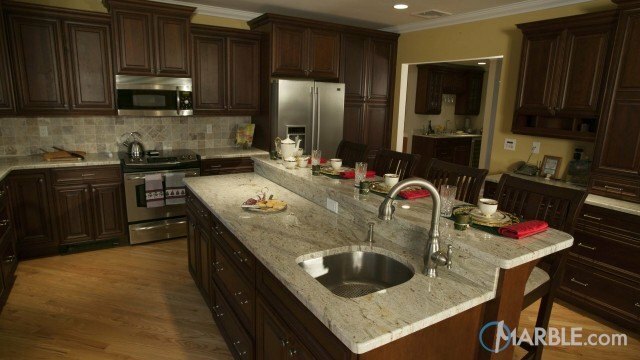 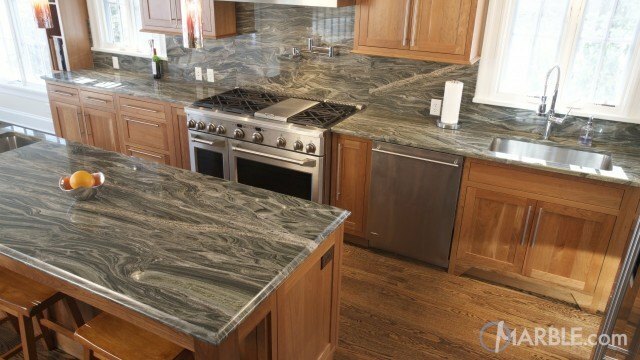 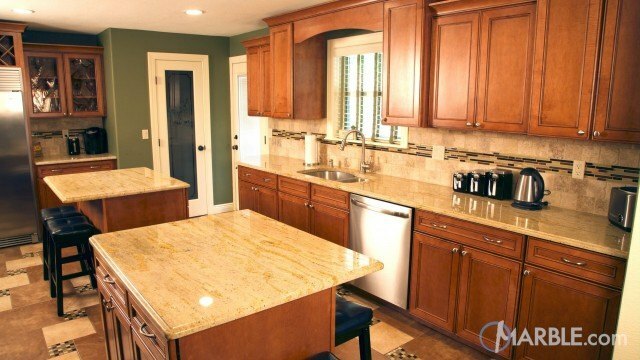 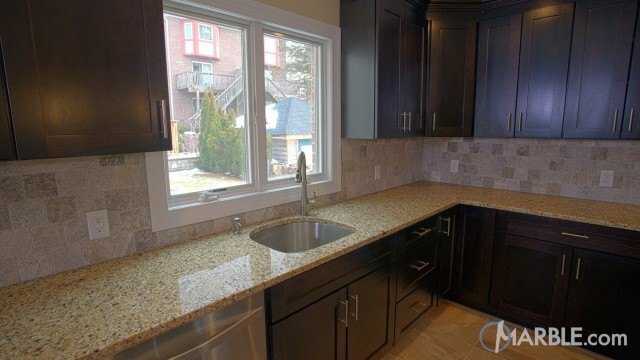 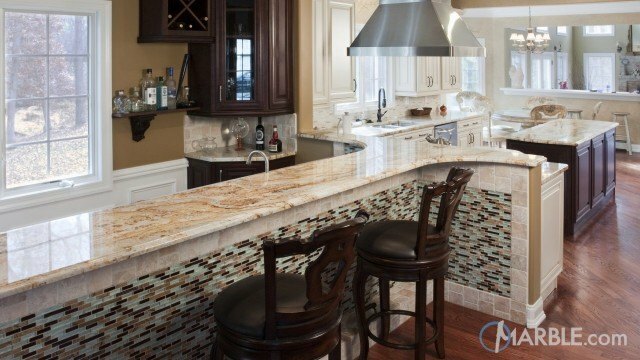 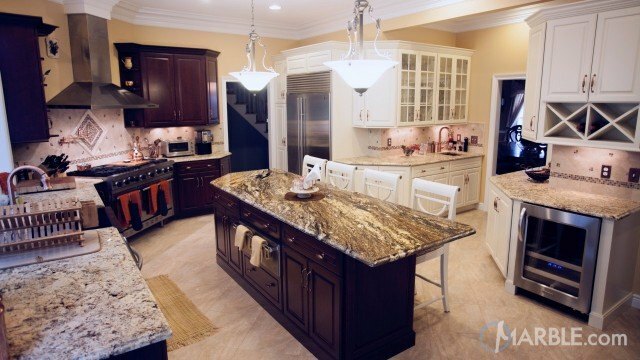 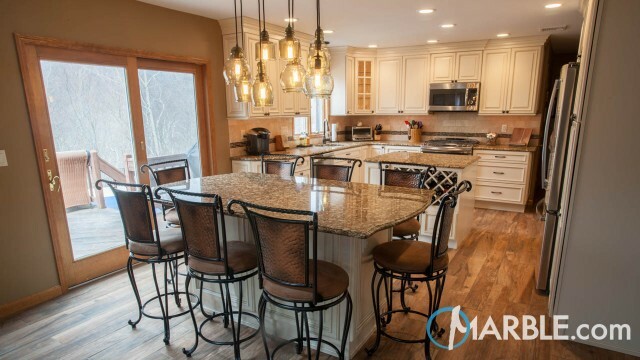 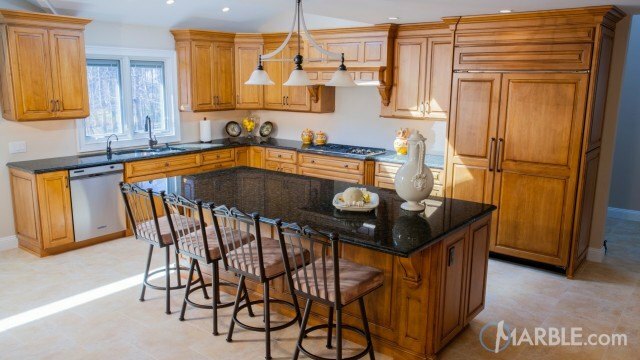 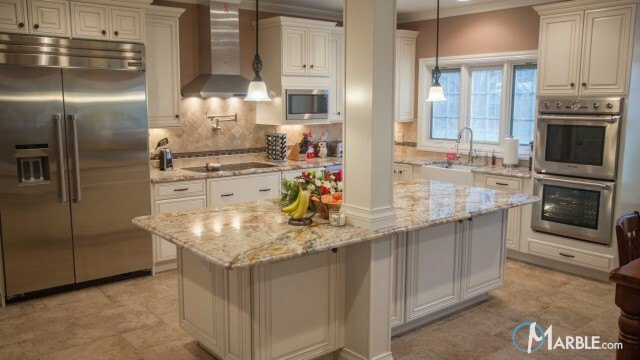 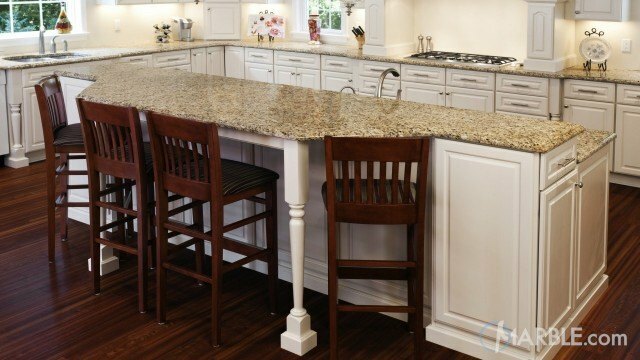 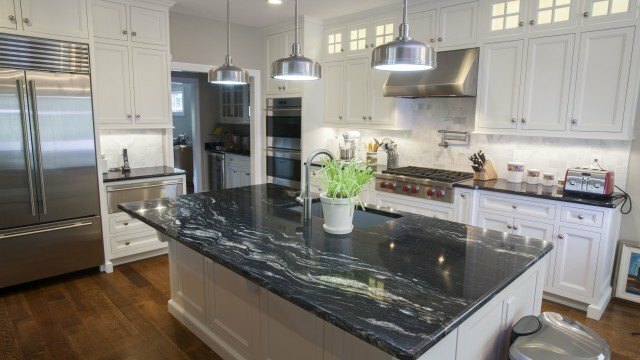 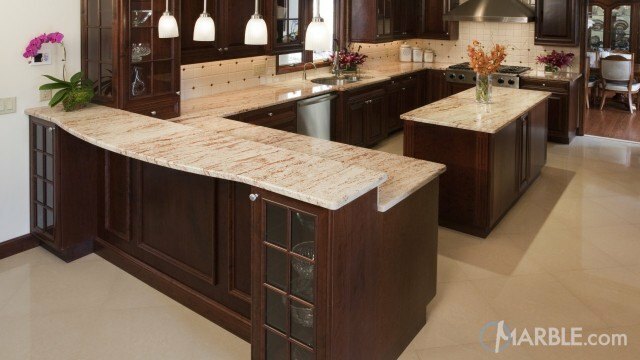 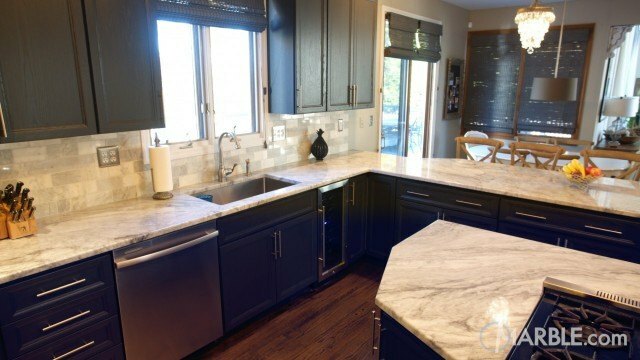 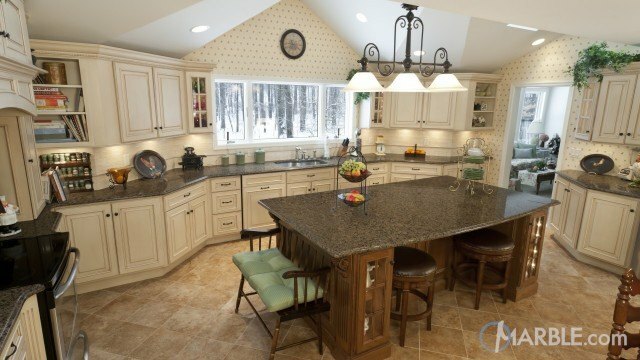 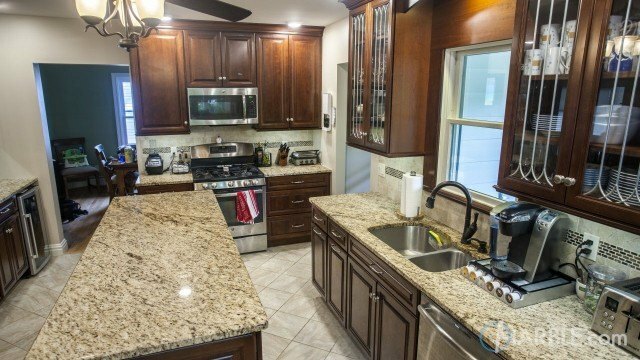 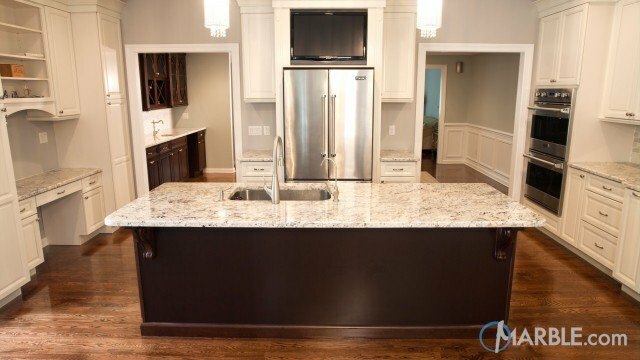 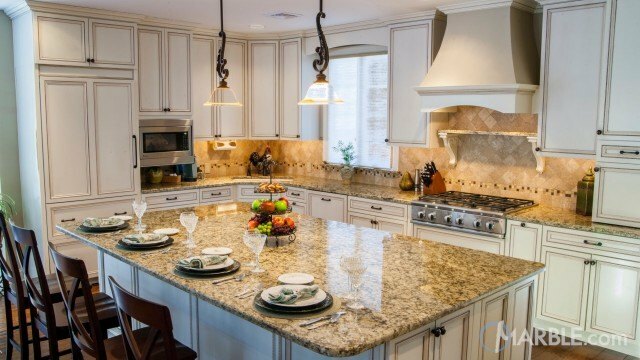 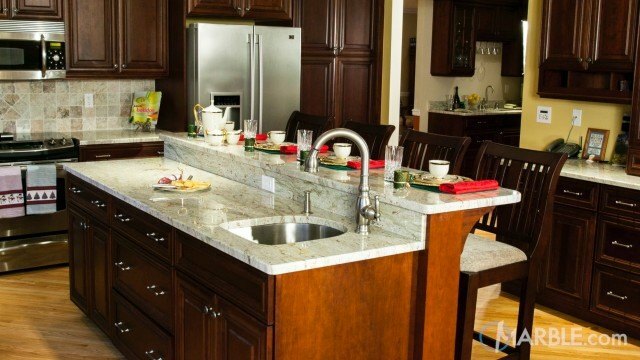 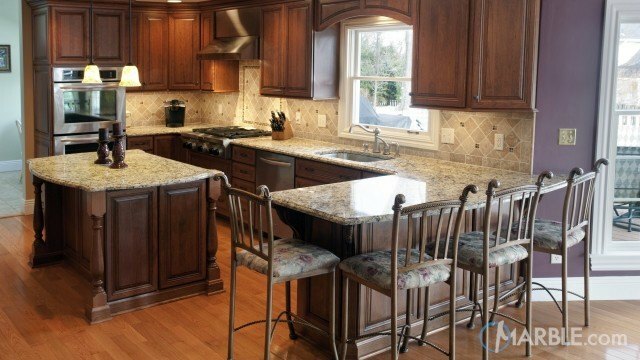 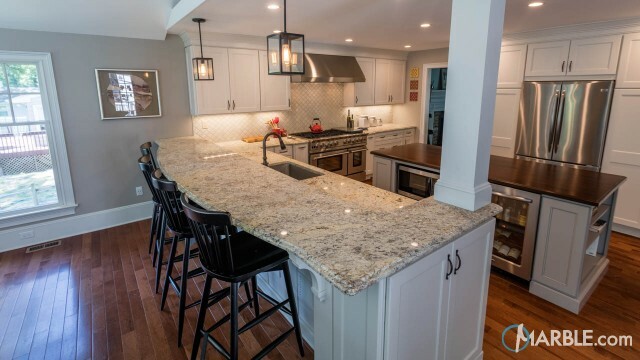 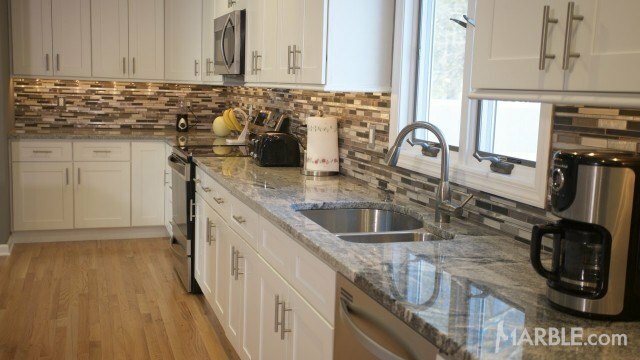 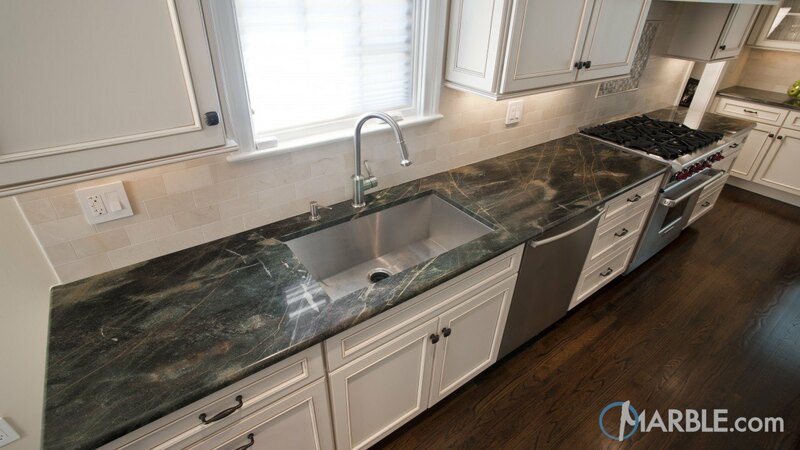 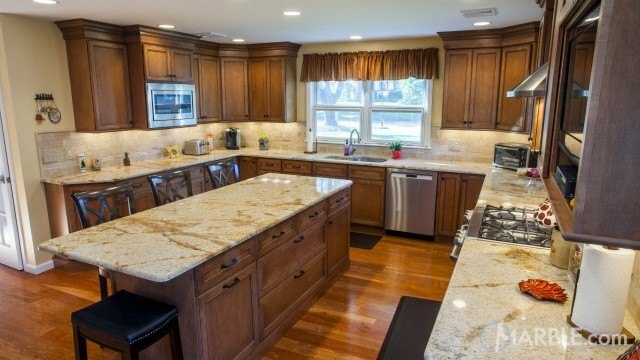 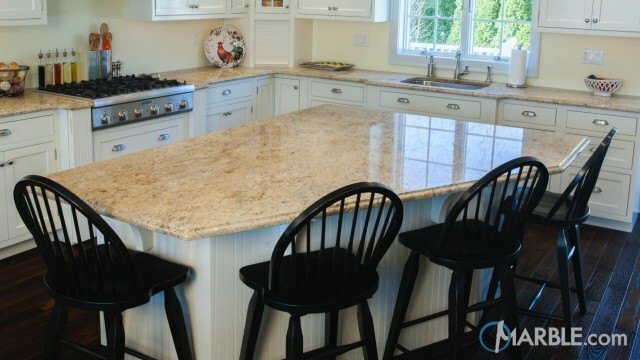 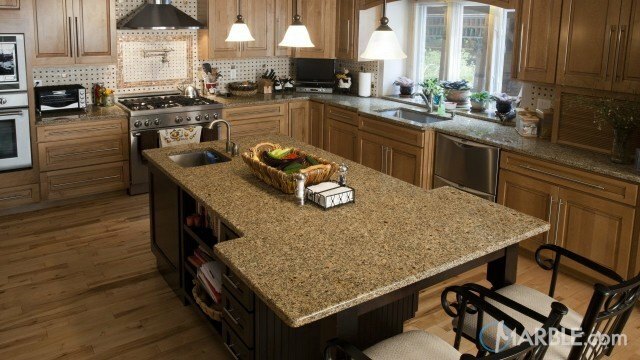 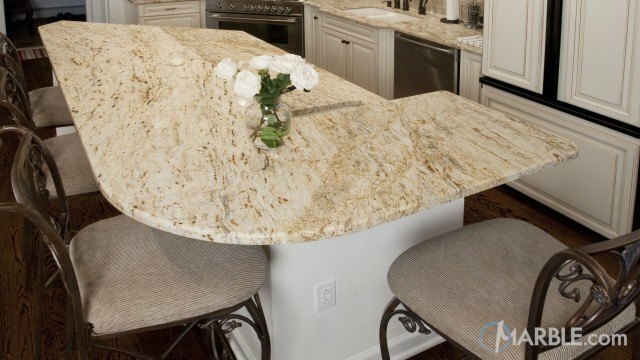 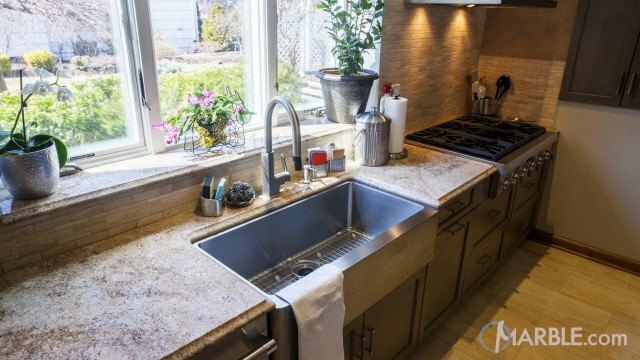 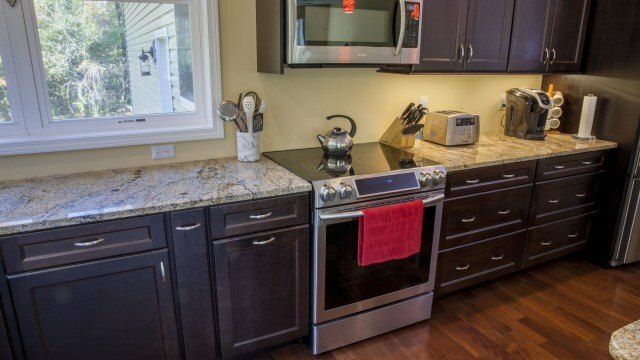 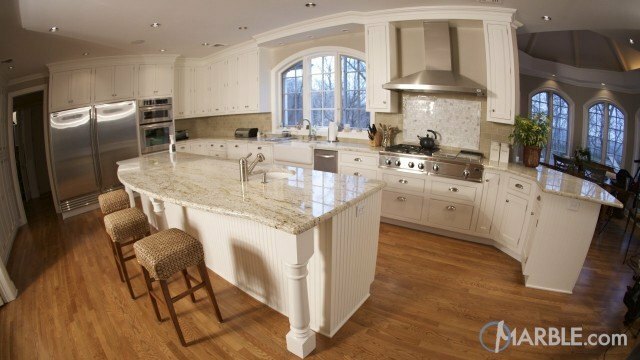 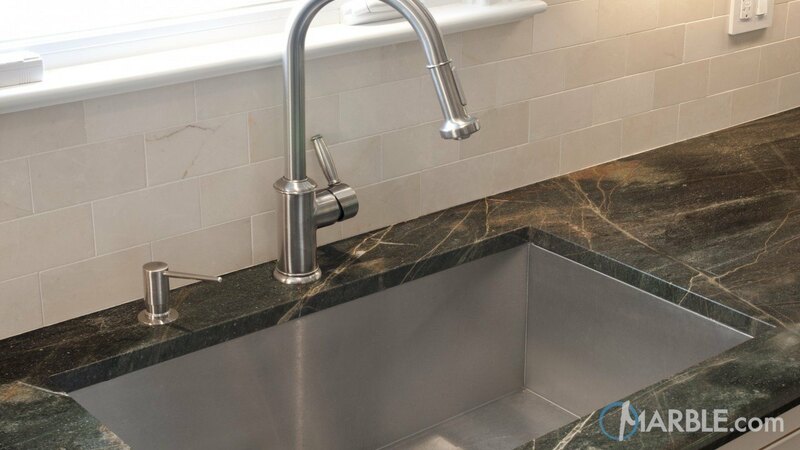 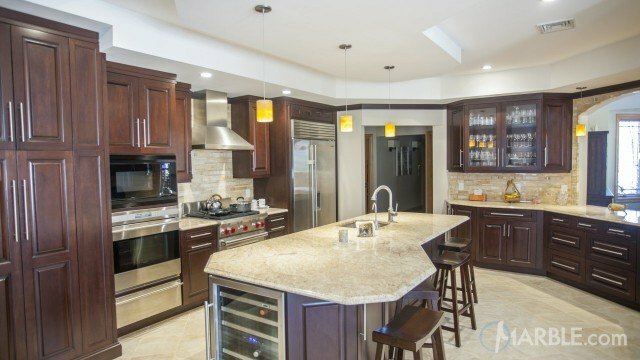 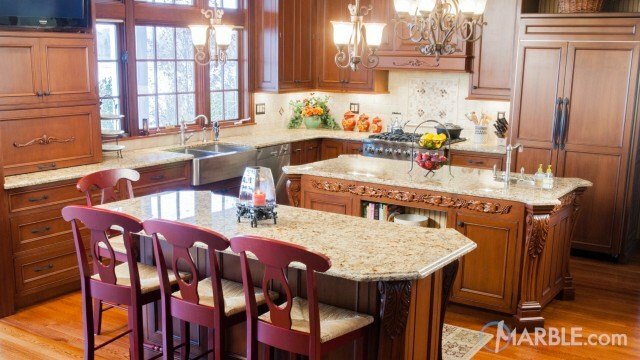 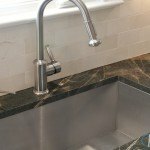 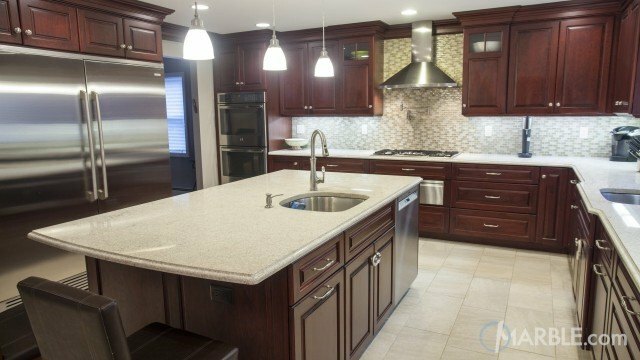 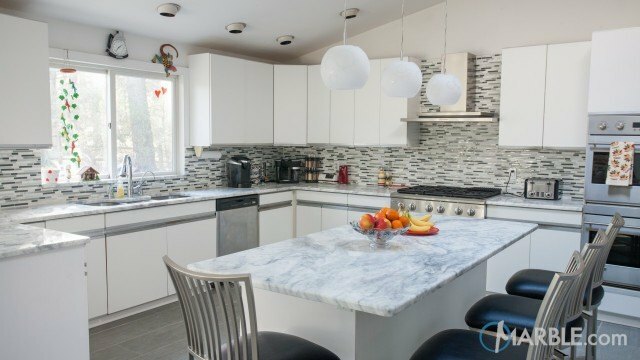 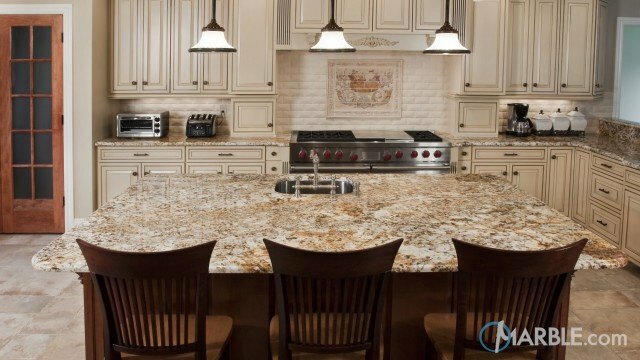 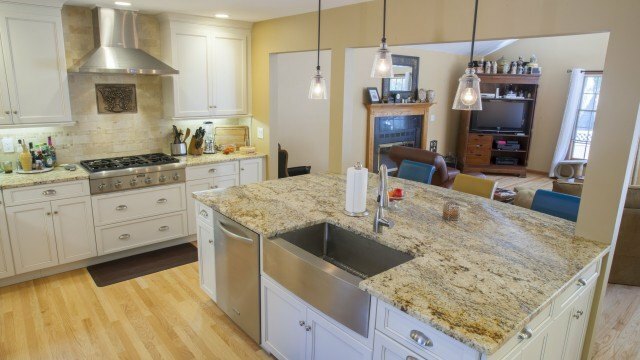 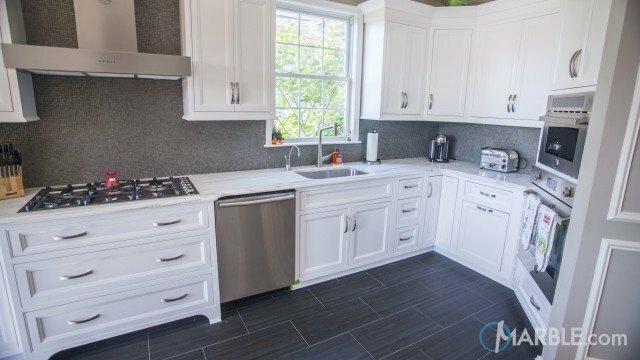 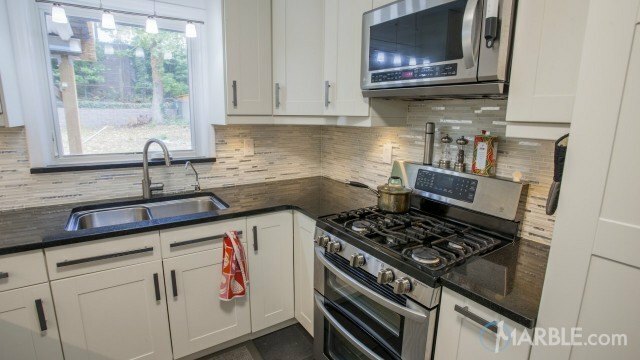 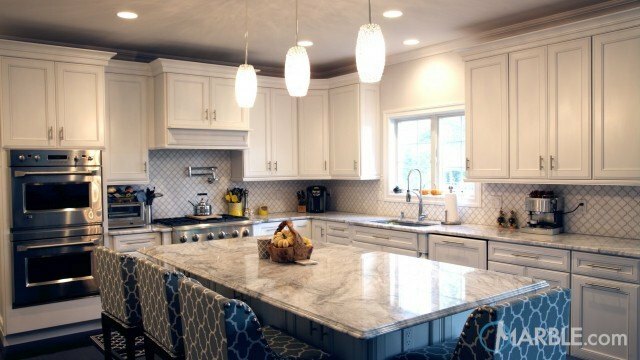 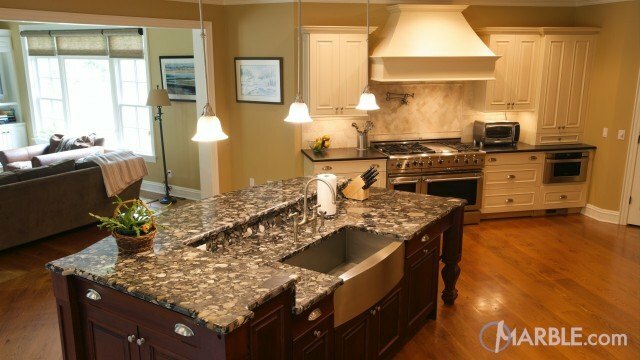 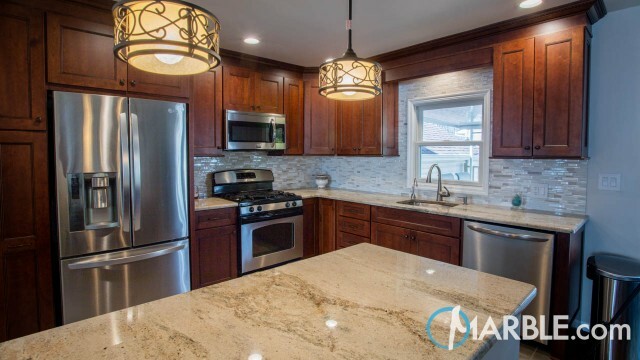 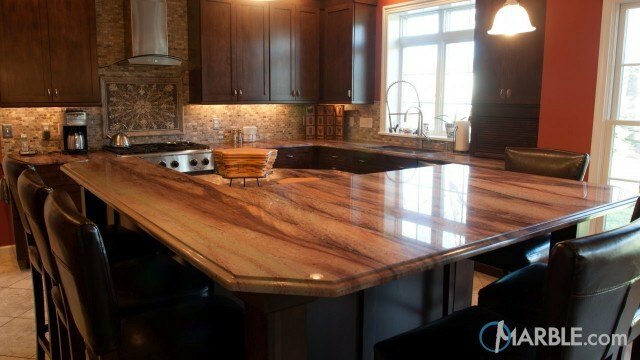 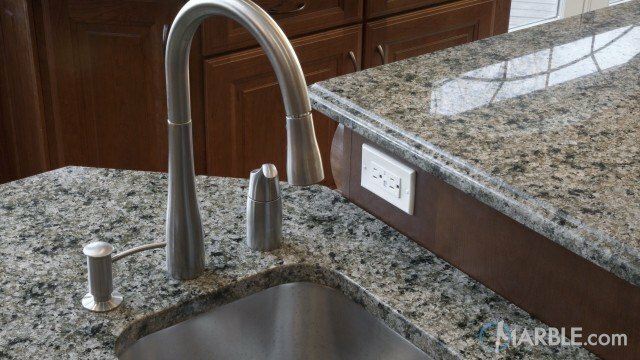 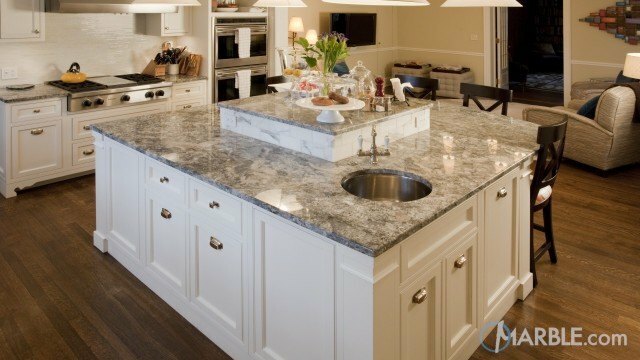 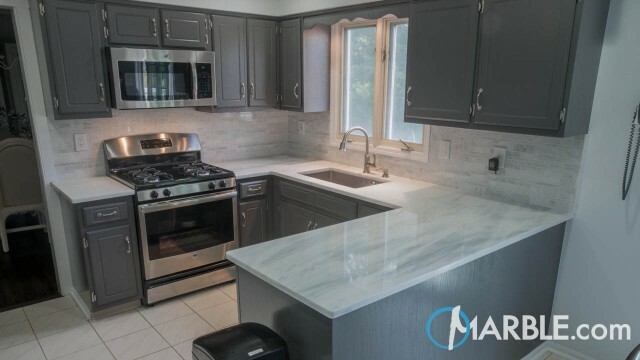 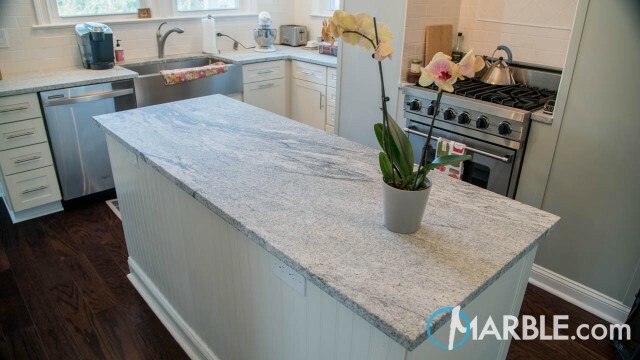 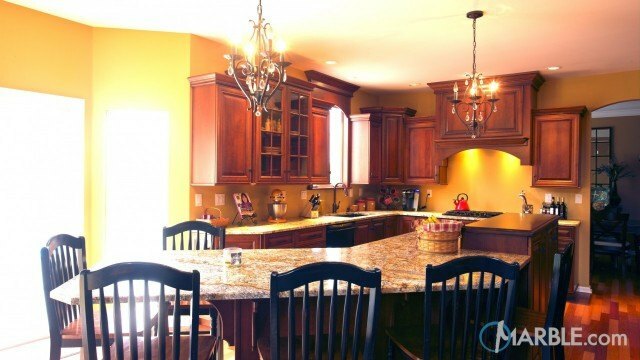 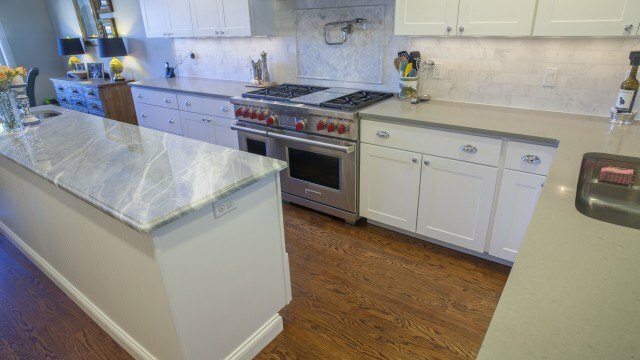 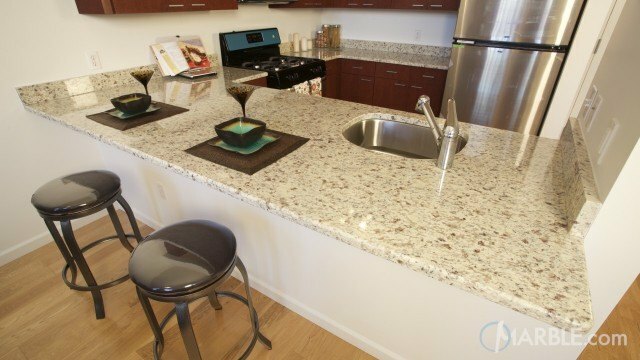 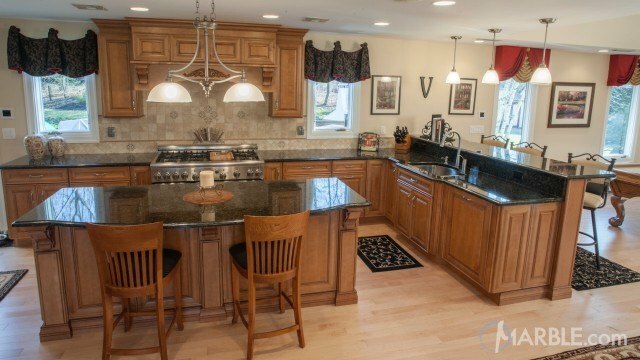 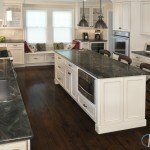 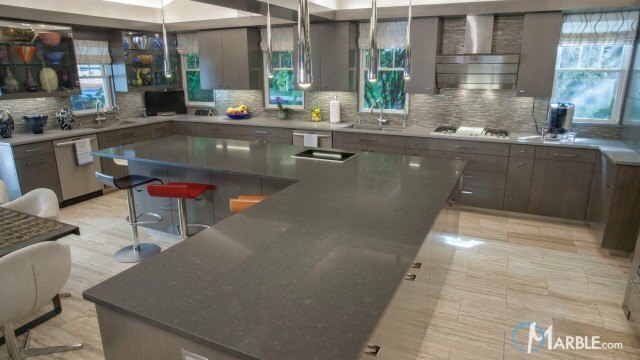 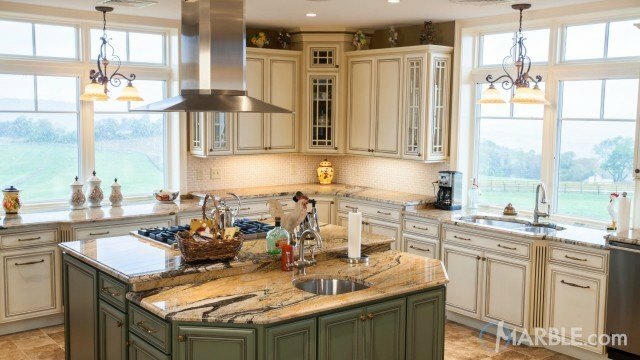 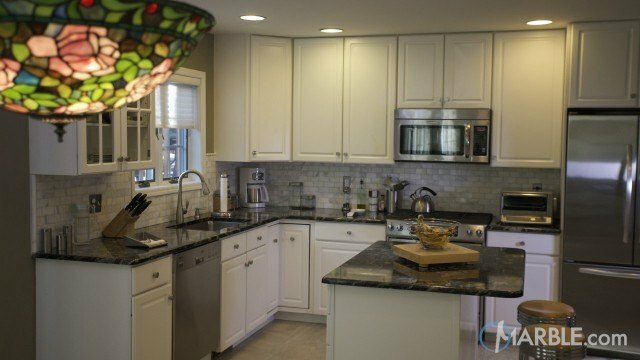 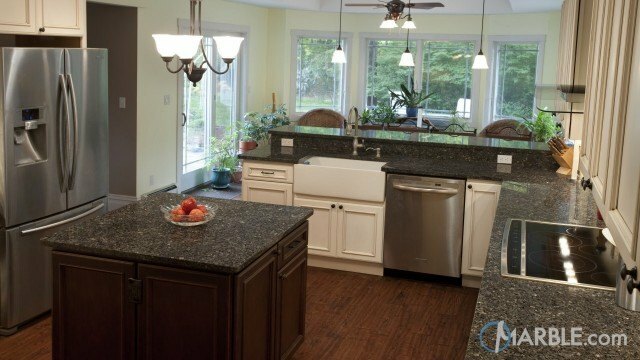 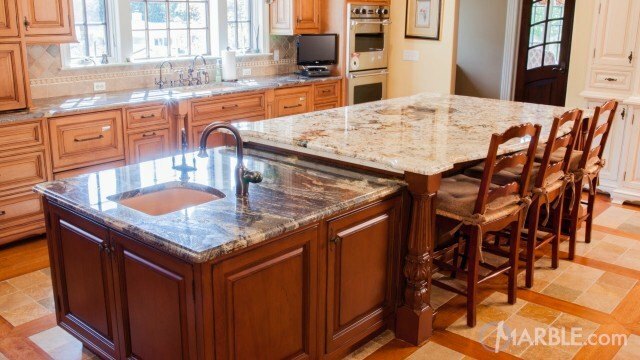 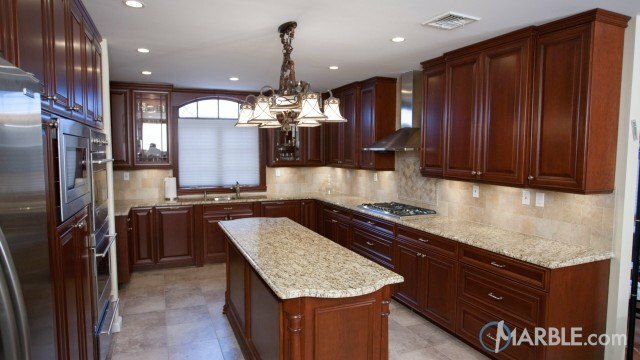 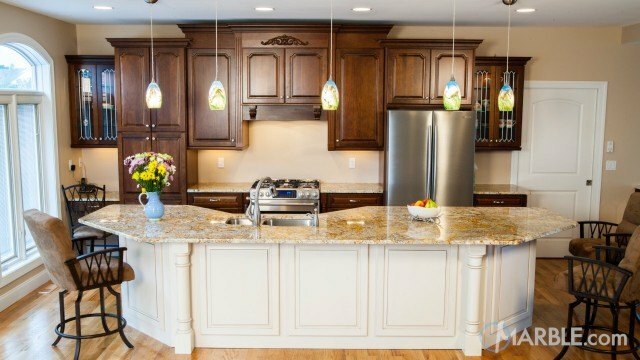 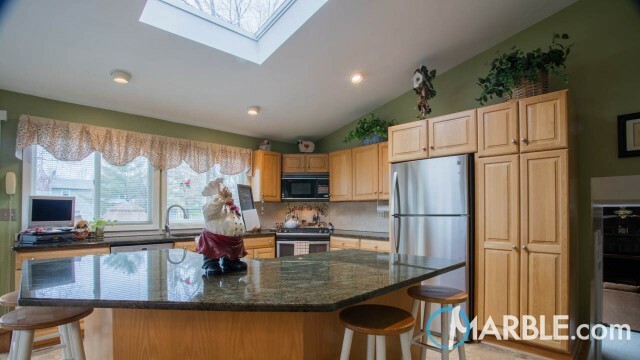 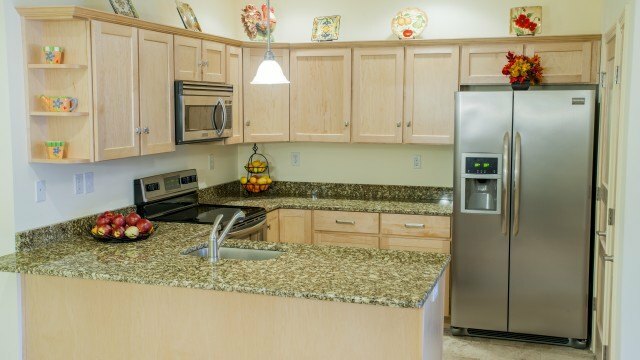 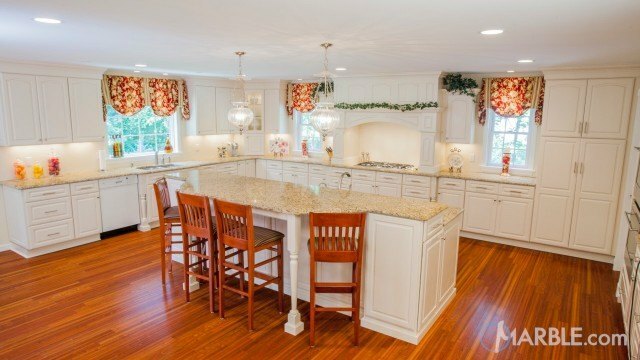 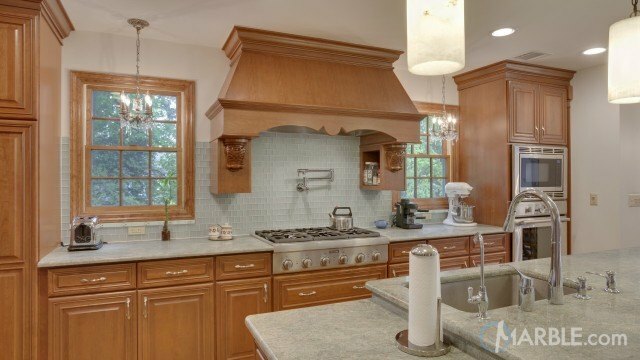 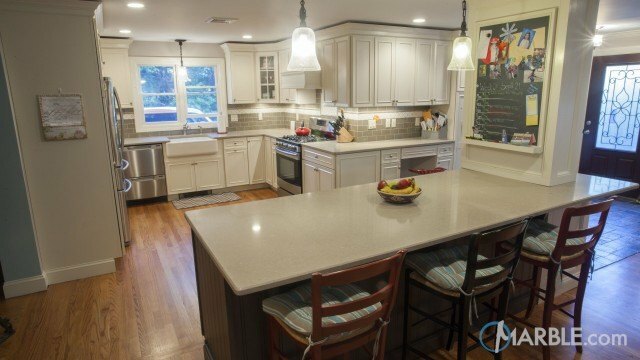 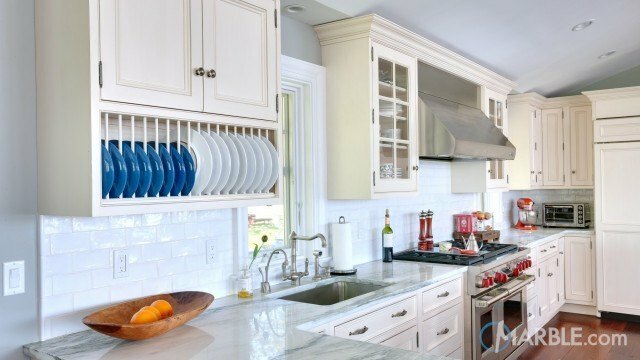 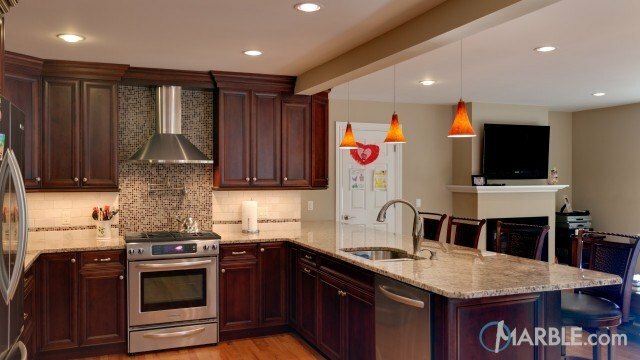 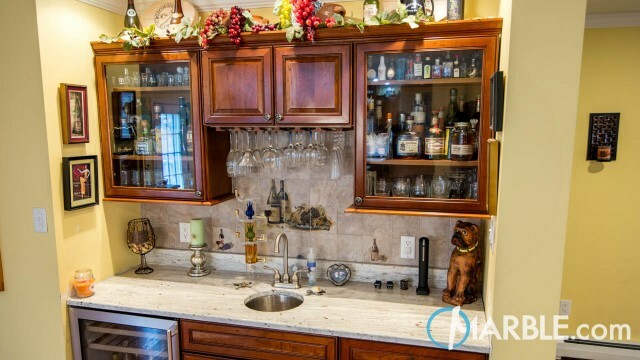 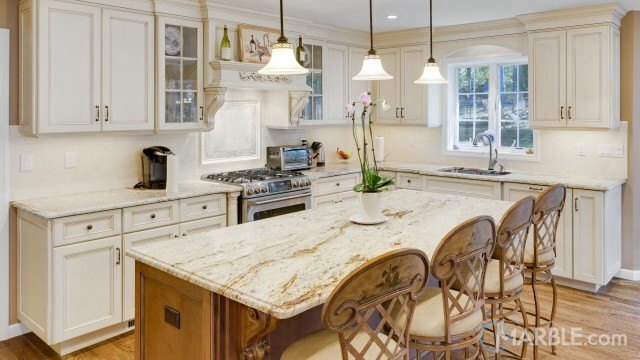 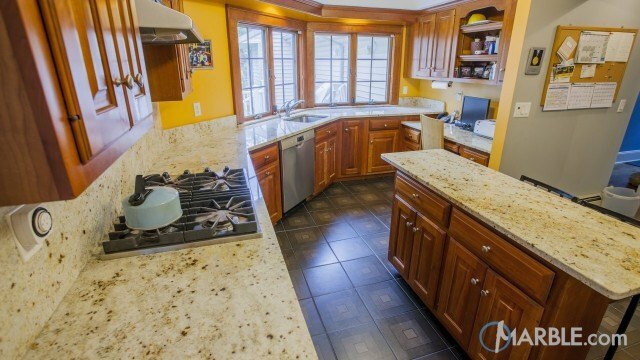 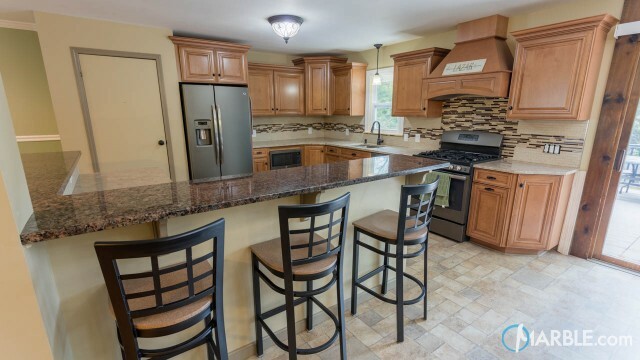 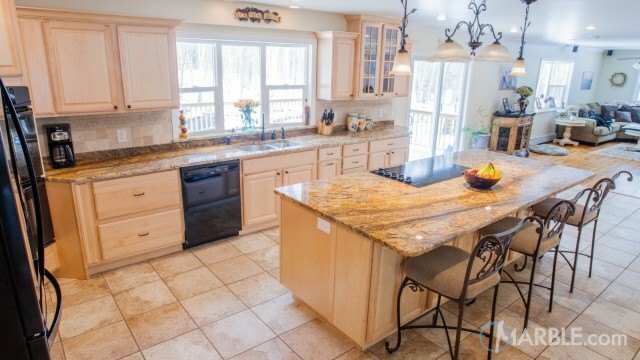 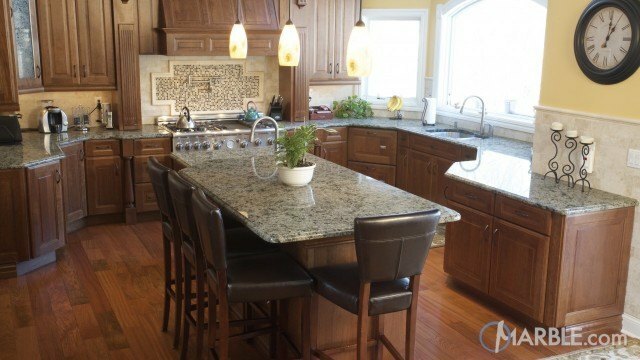 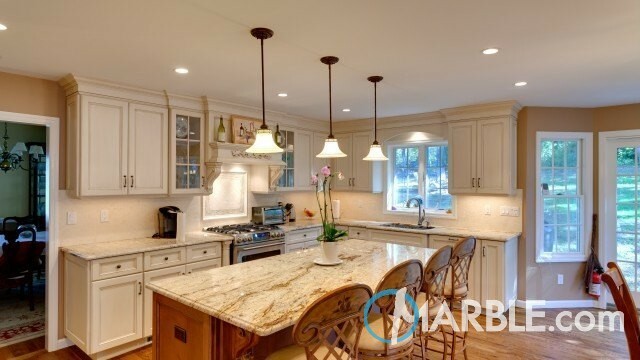 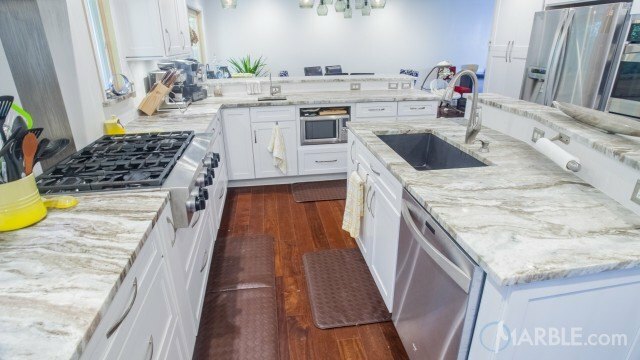 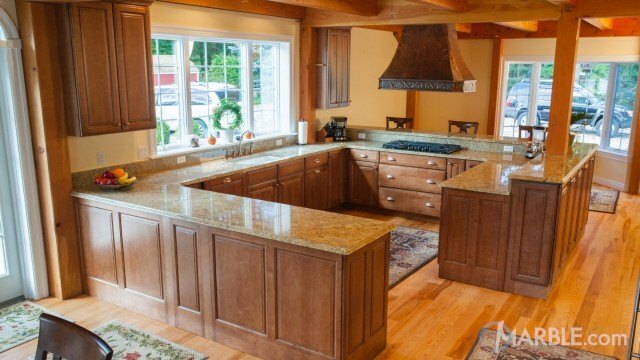 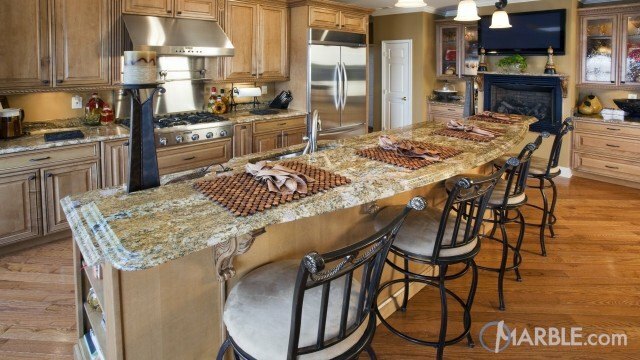 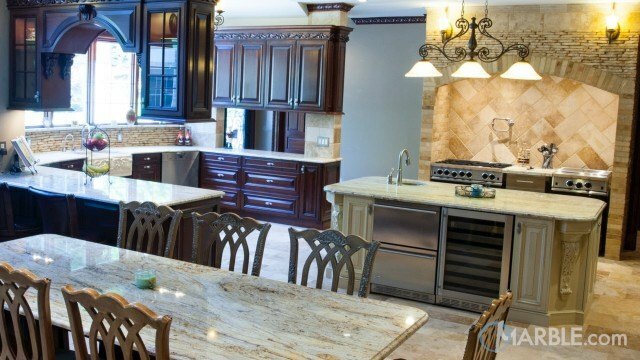 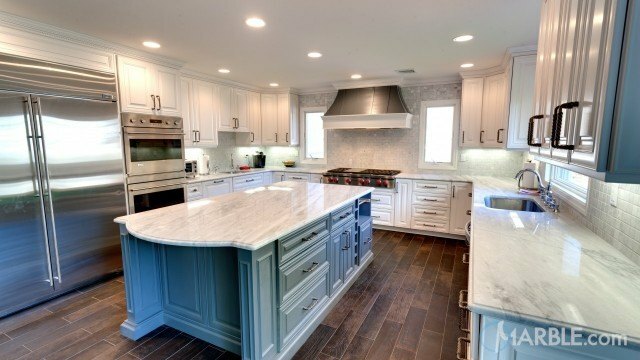 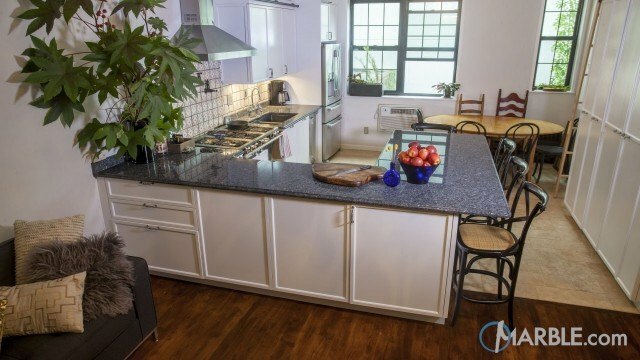 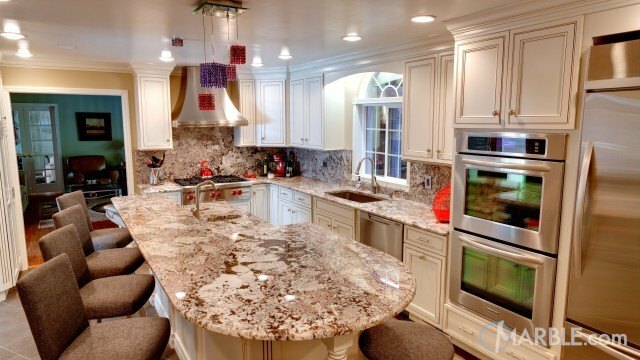 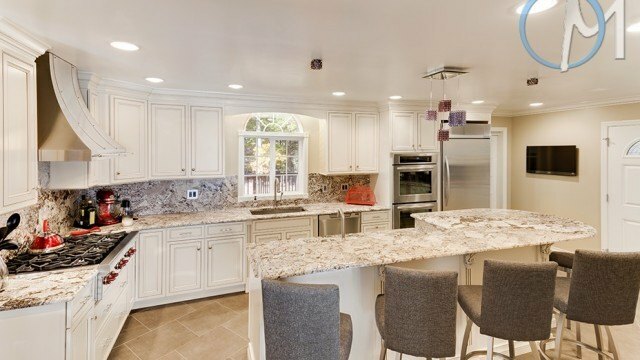 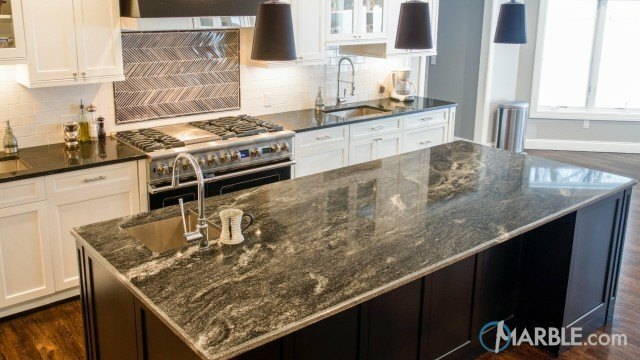 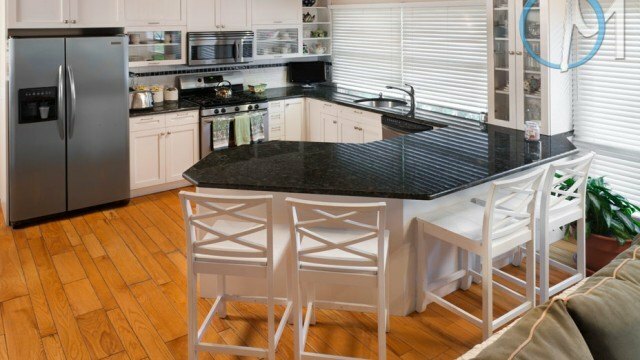 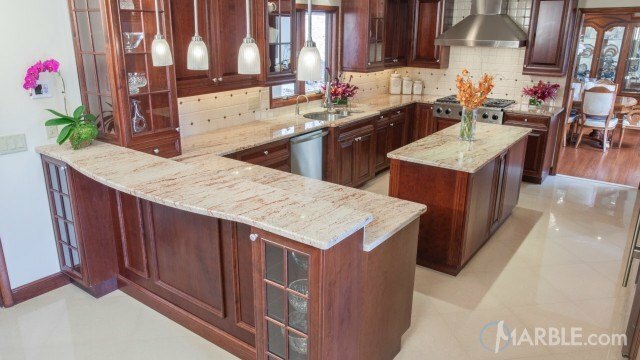 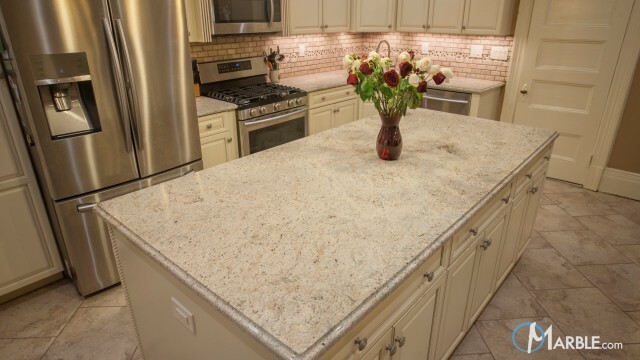 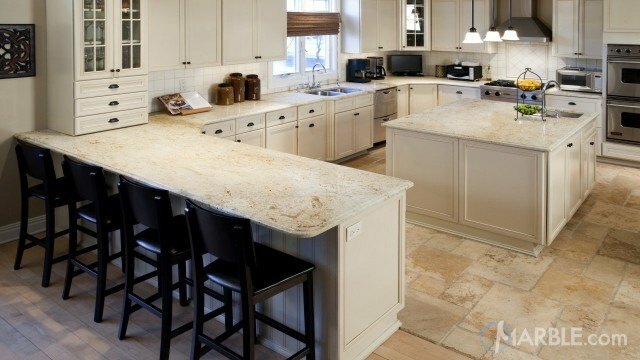 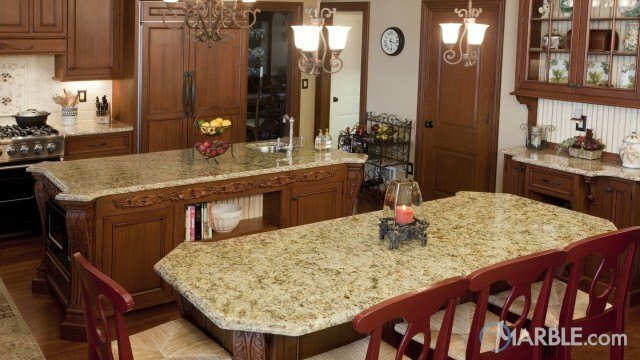 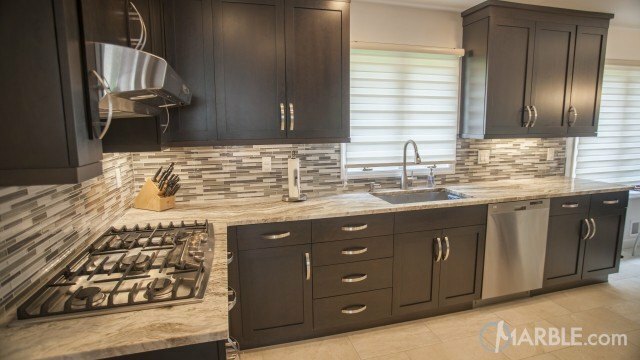 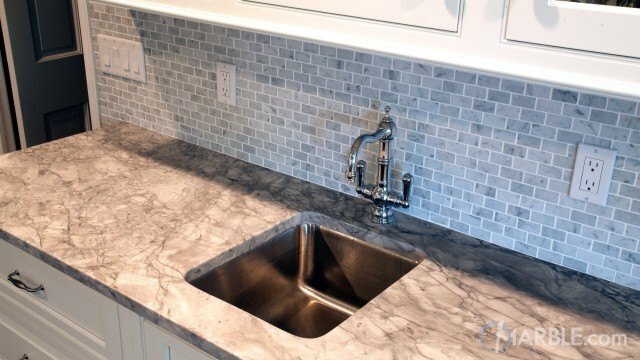 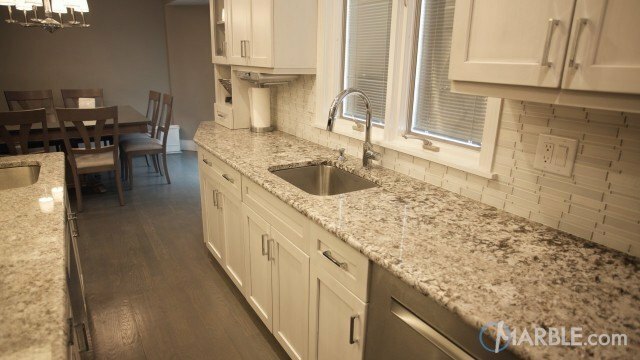 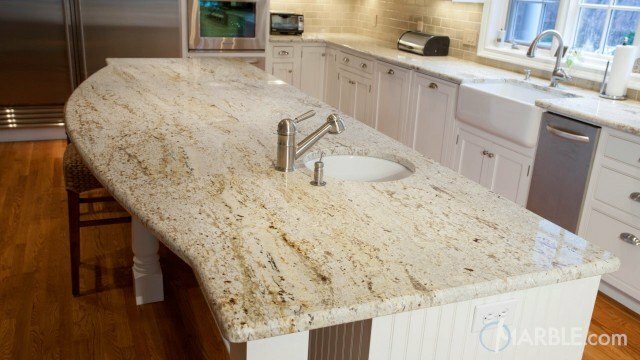 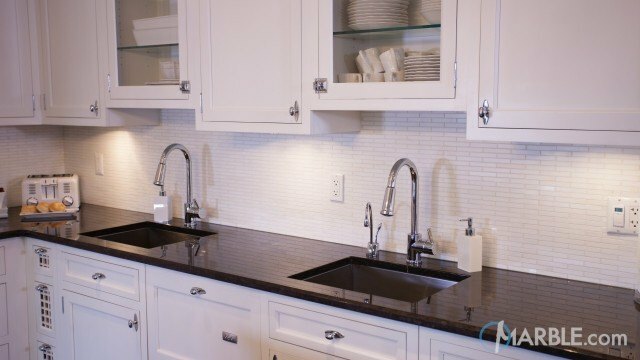 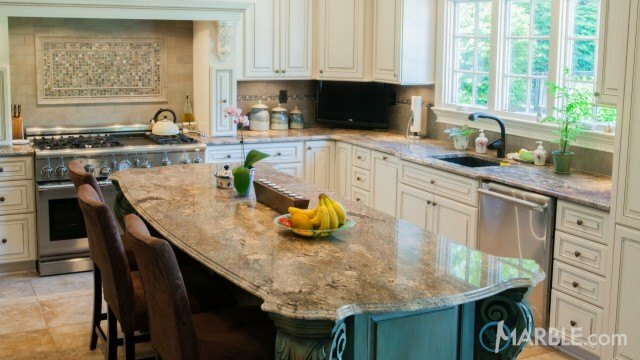 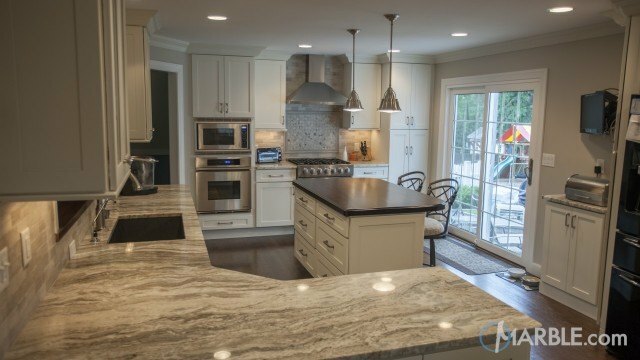 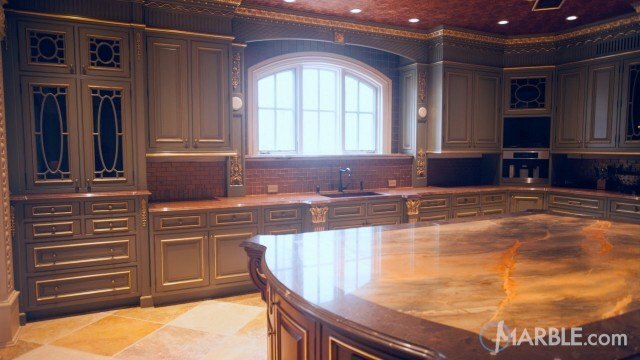 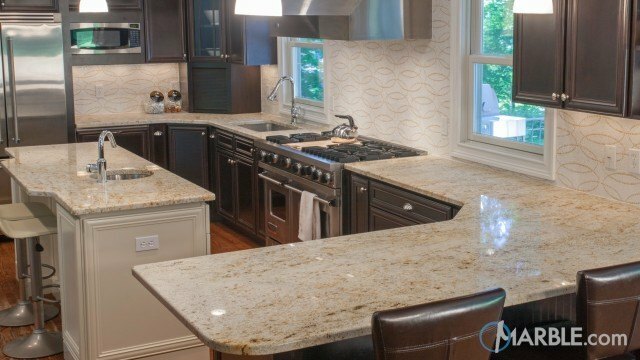 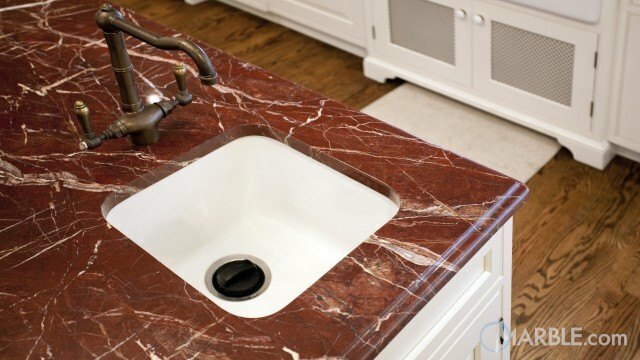 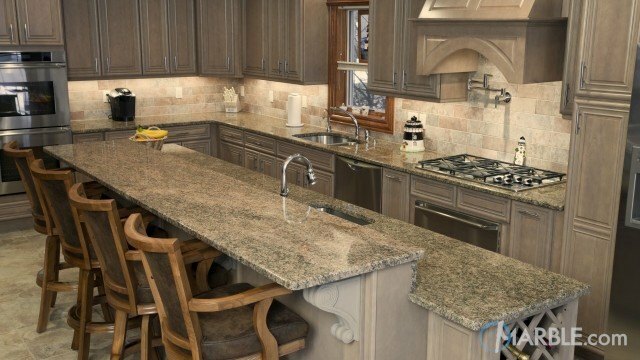 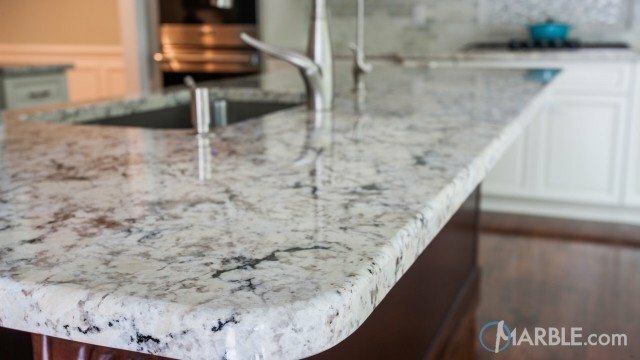 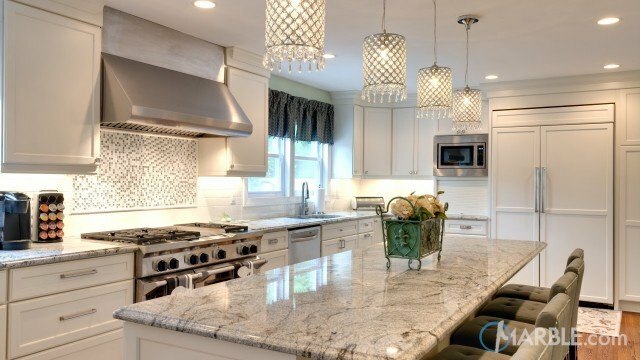 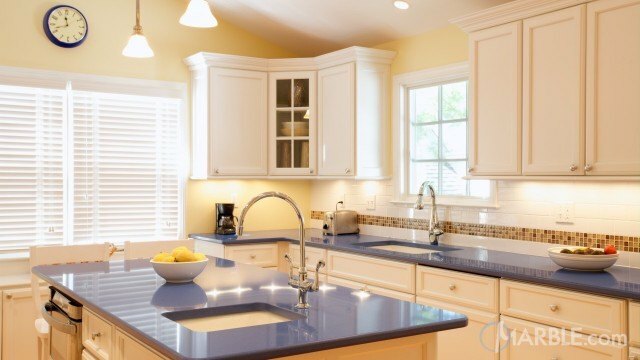 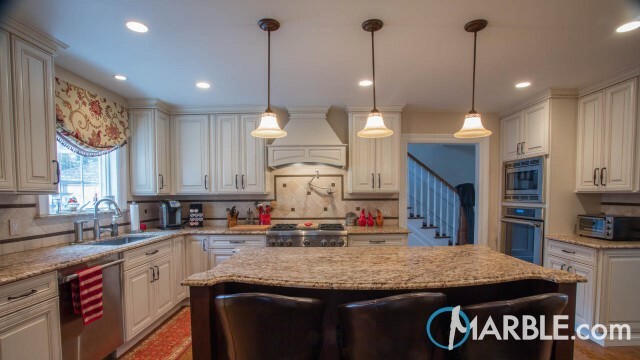 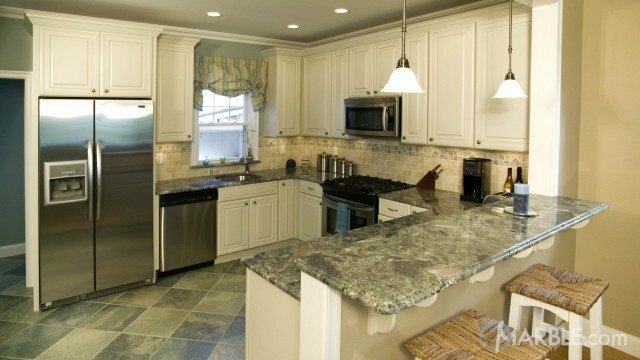 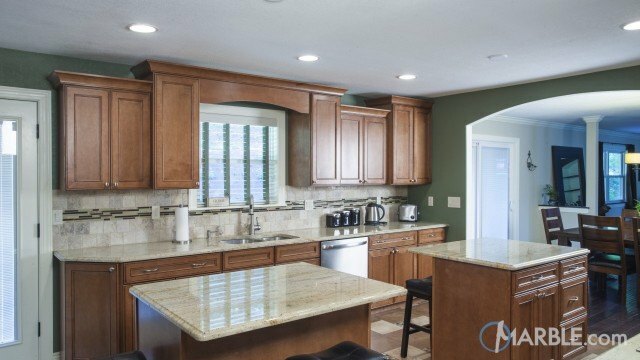 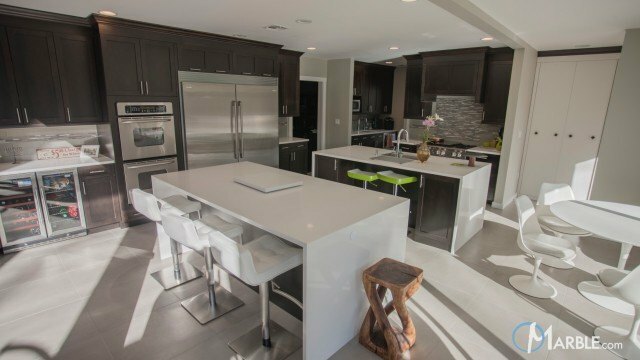 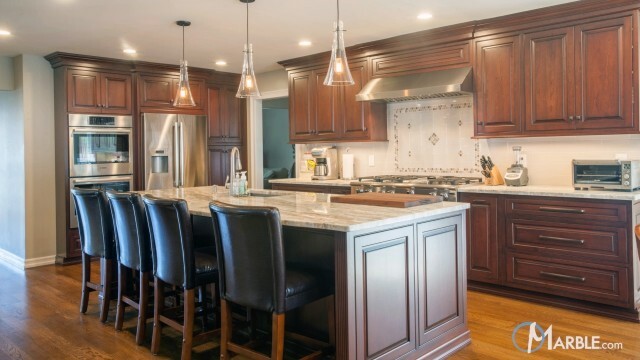 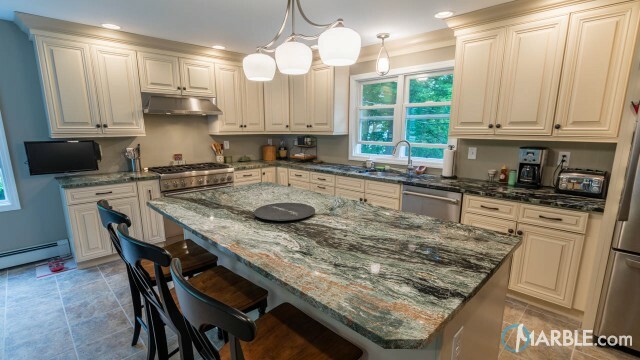 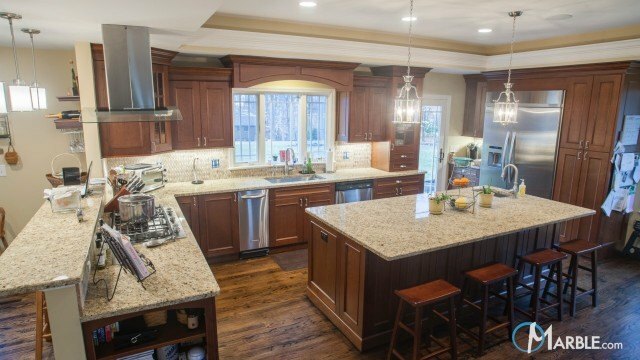 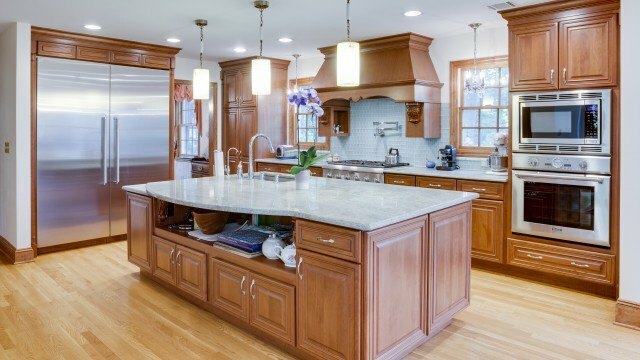 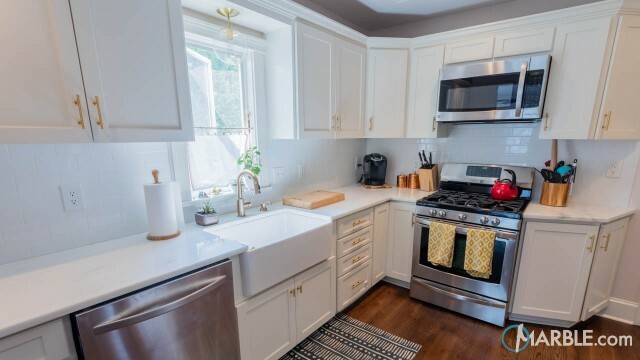 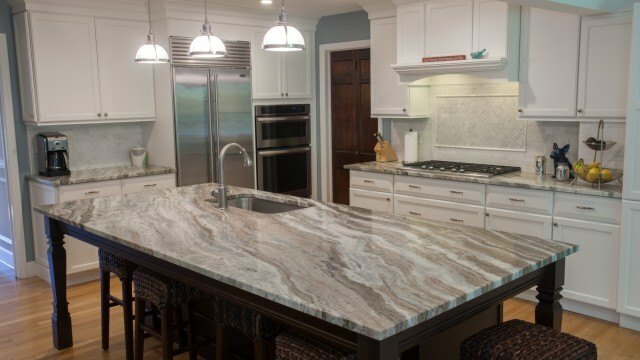 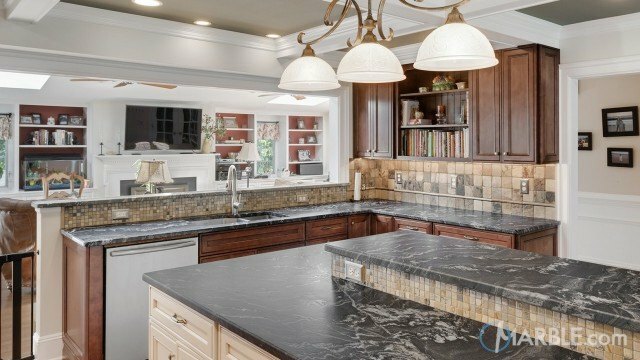 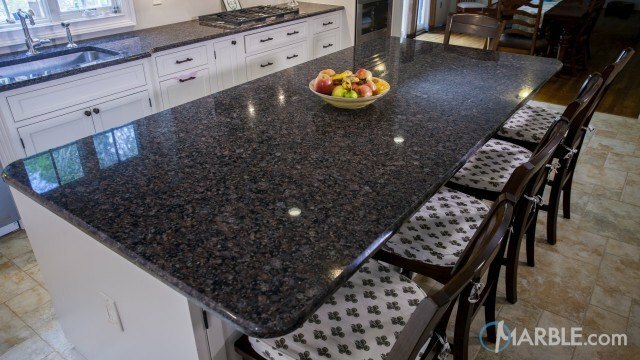 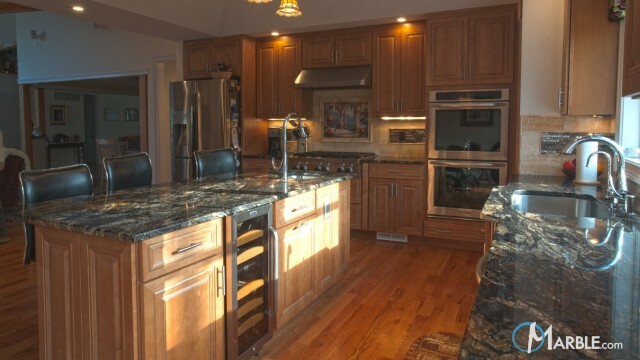 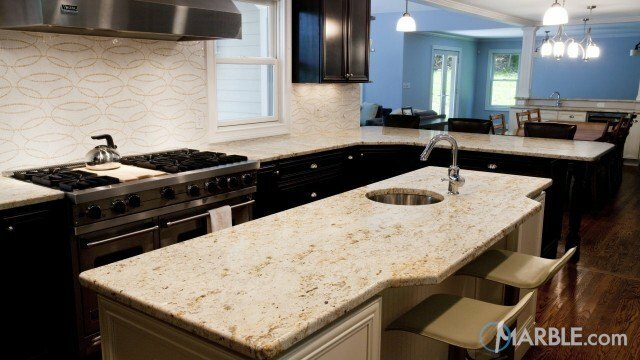 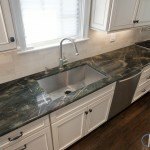 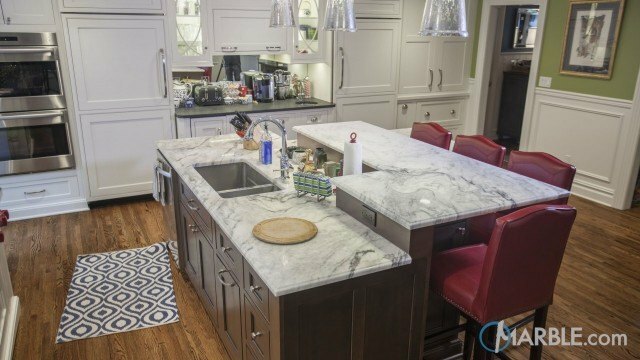 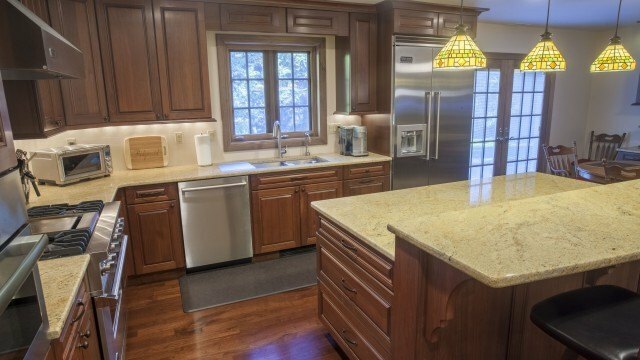 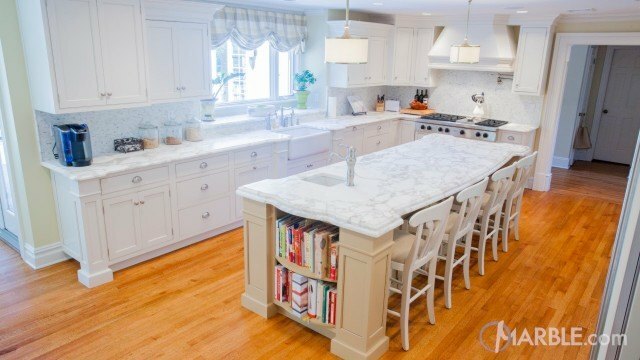 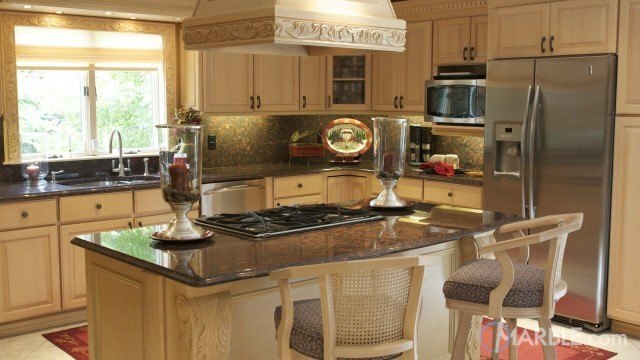 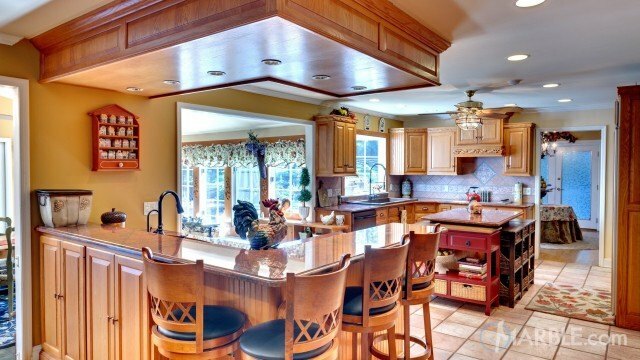 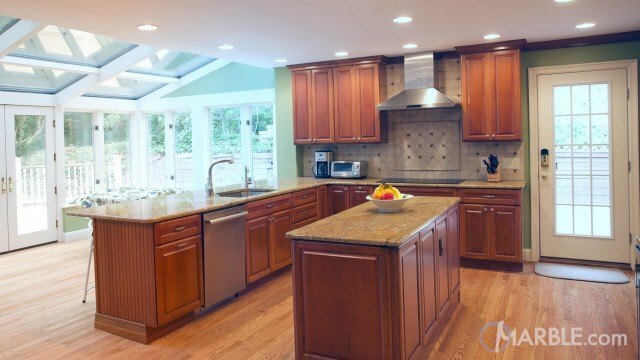 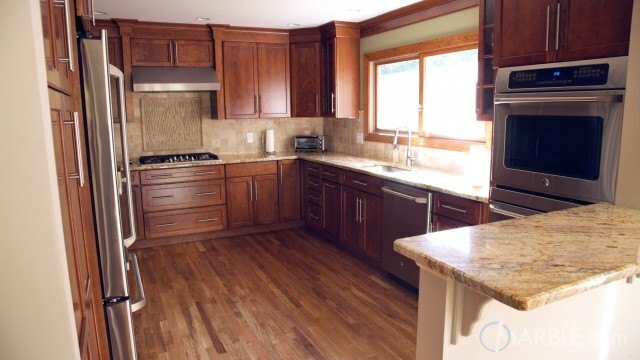 The smooth veins of white and beige throughout the green counter top flow together, and the Half Bullnose Edge completes the soft look, while keeping the durability and stain resistance of granite. 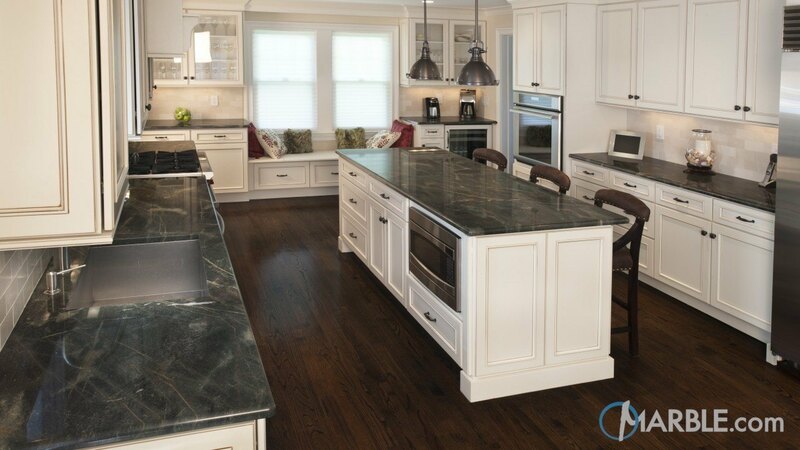 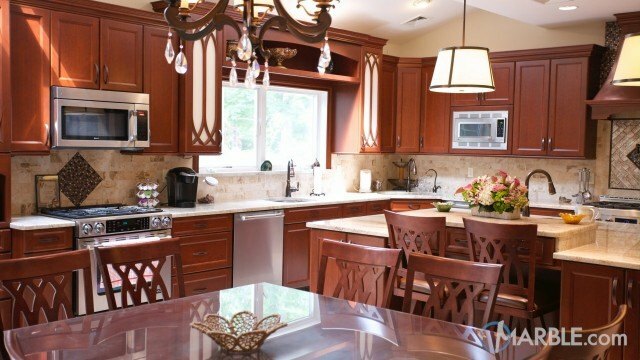 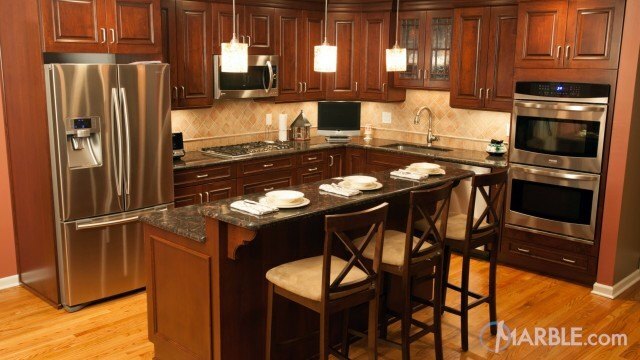 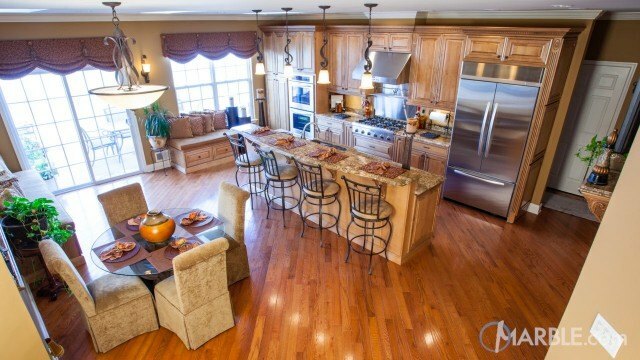 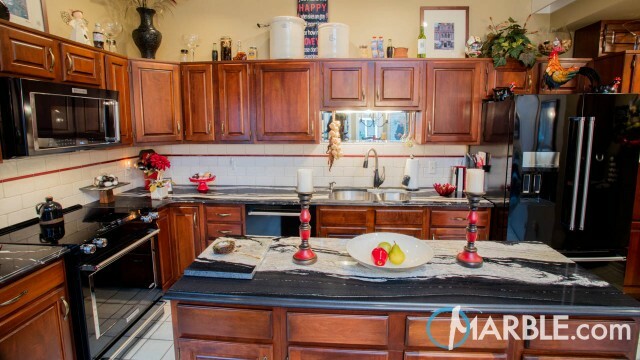 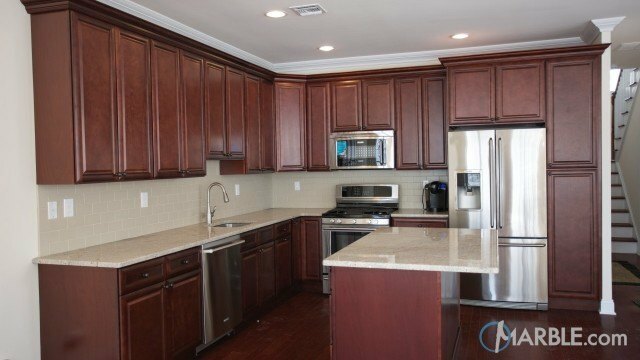 Dark wood floors and classic white cabinets complete this elegant look.